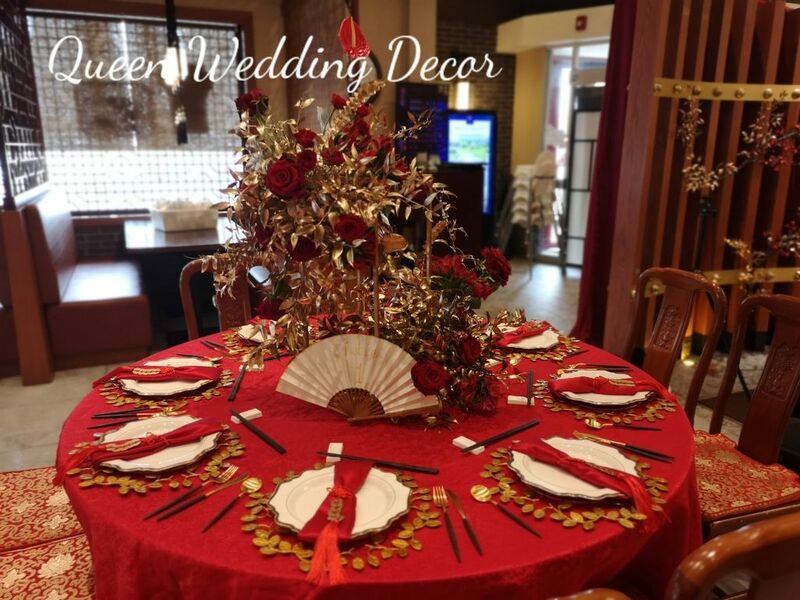 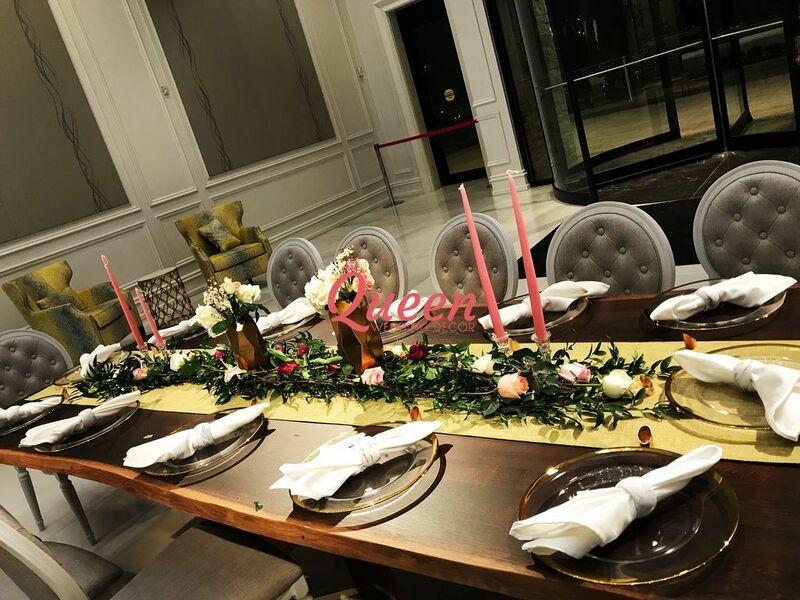 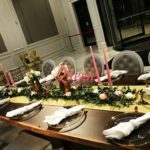 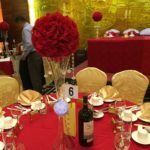 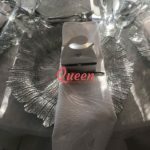 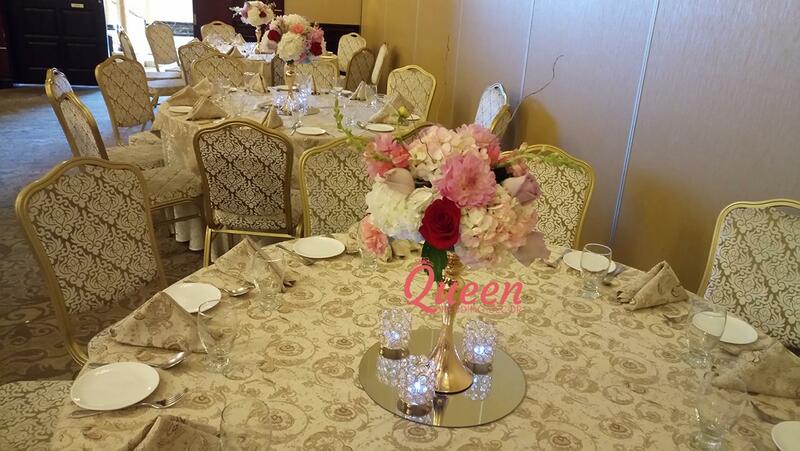 With the help of the centerpiece, the guests are able to have a comfortable stay at the table. 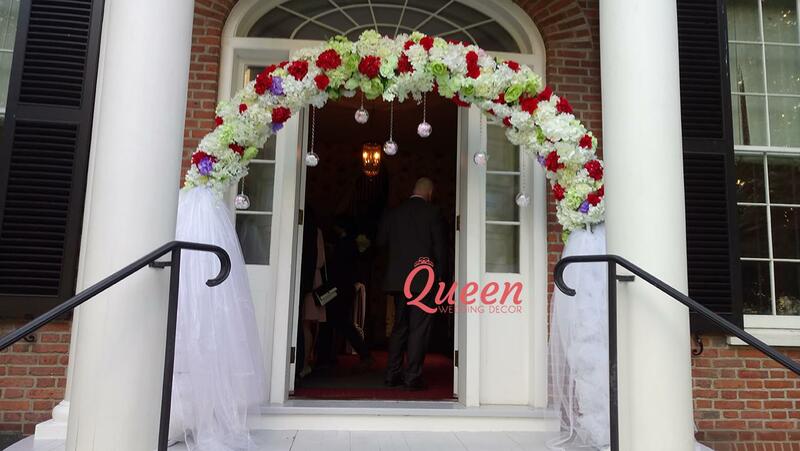 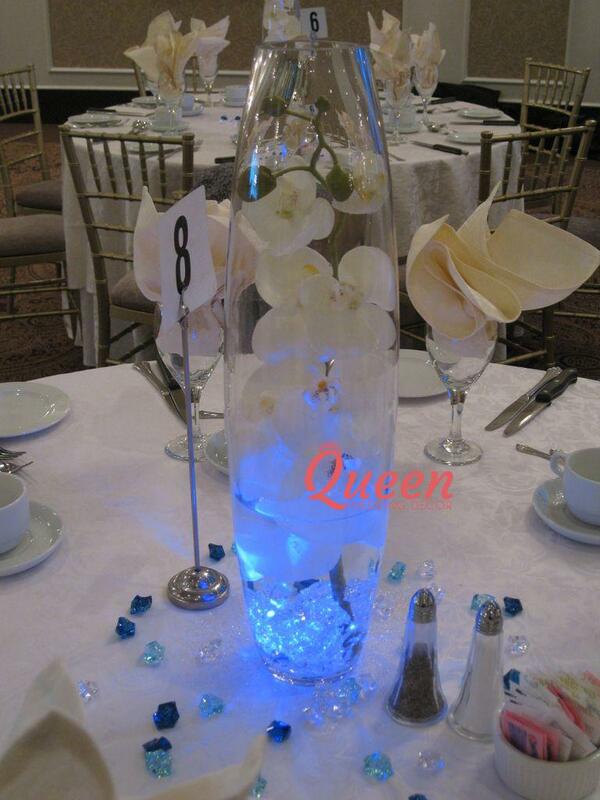 At the same time, it can help serve as an ice breaker for guests who have been assigned to sit together. 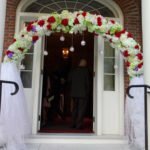 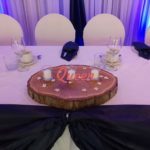 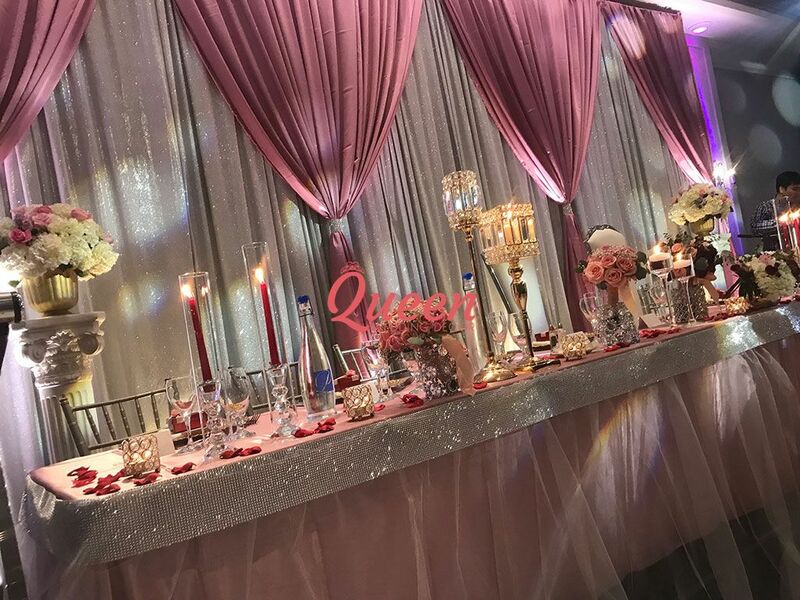 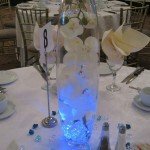 As such, it really pays to have a creative and unique centerpiece for the reception. 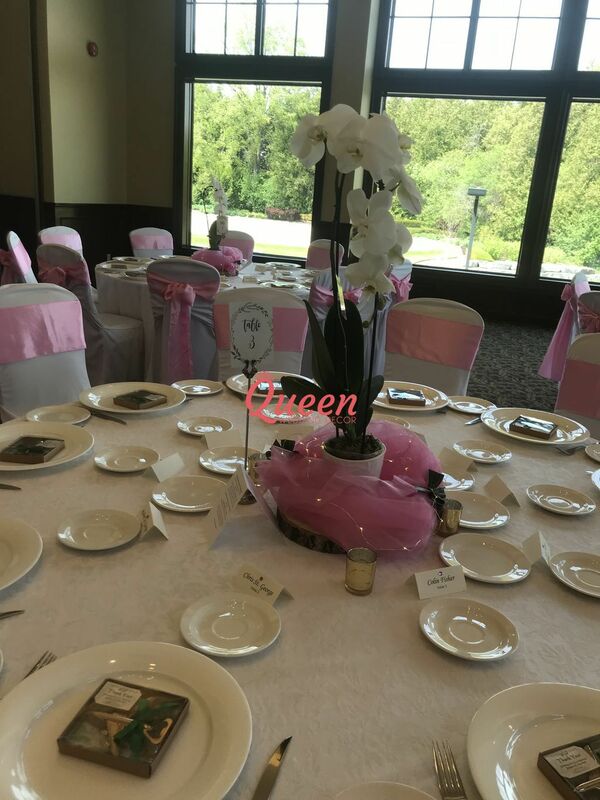 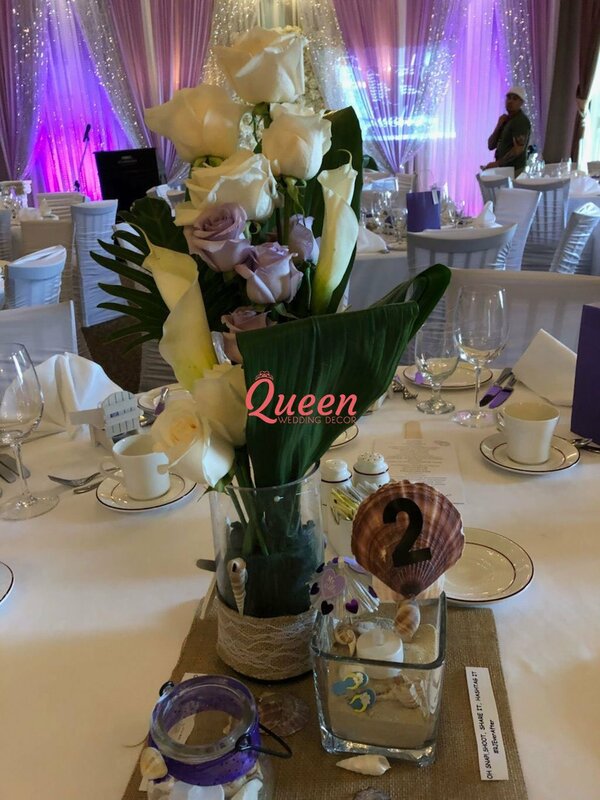 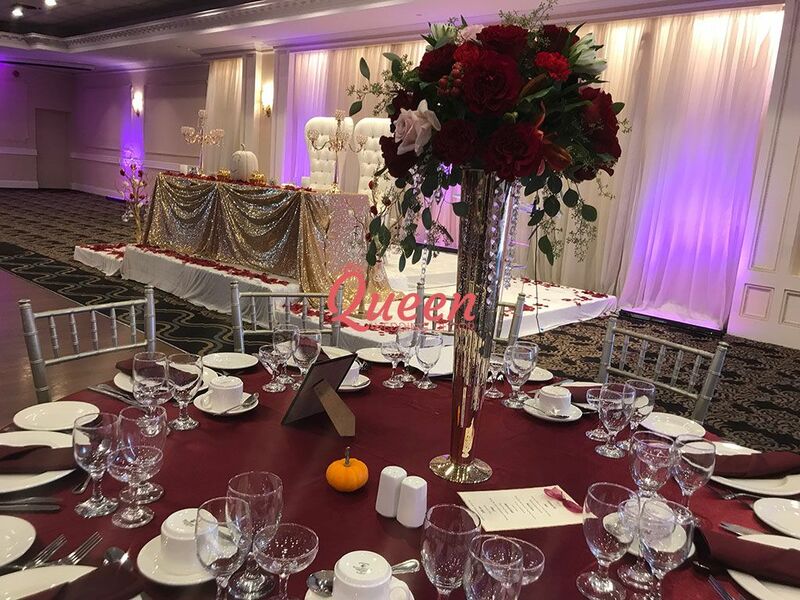 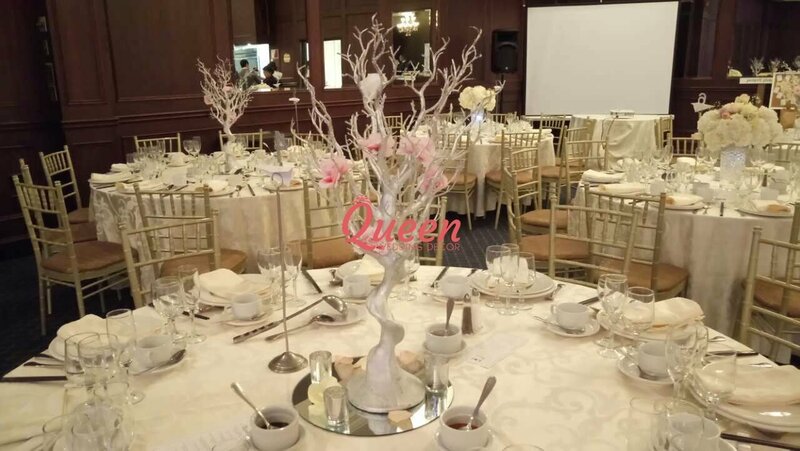 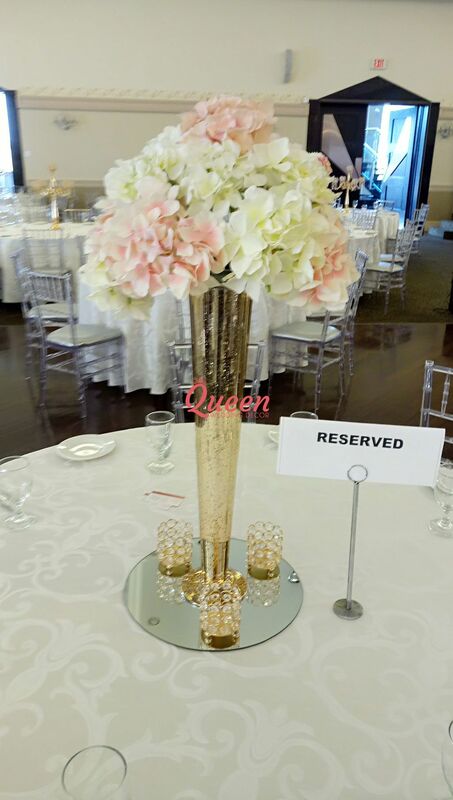 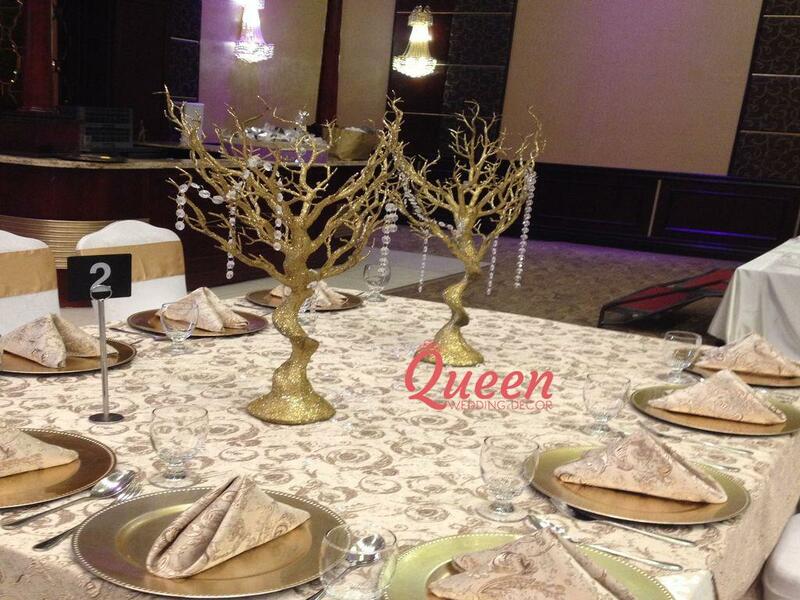 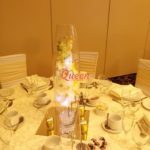 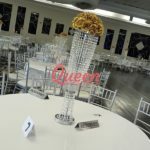 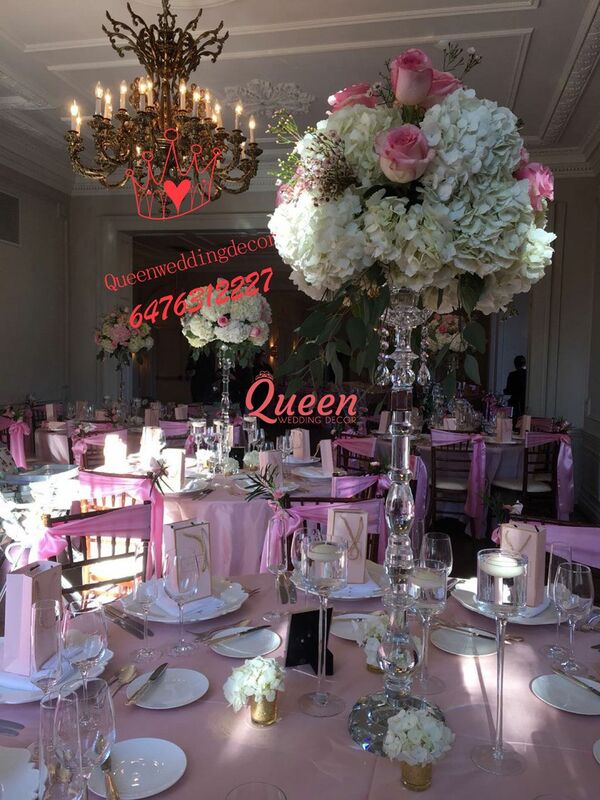 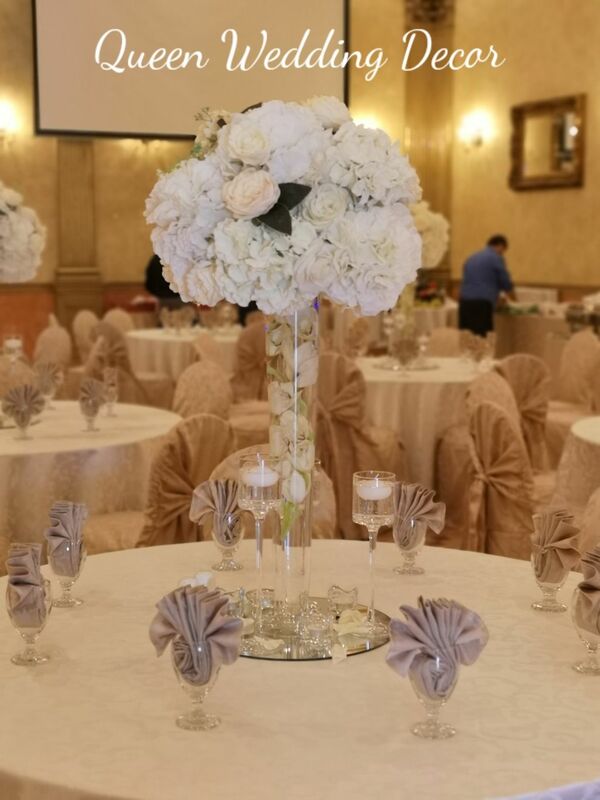 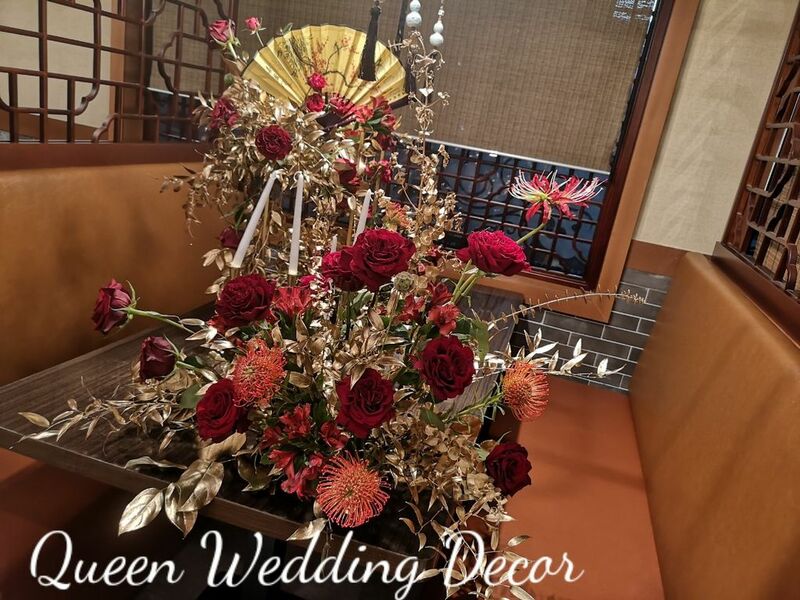 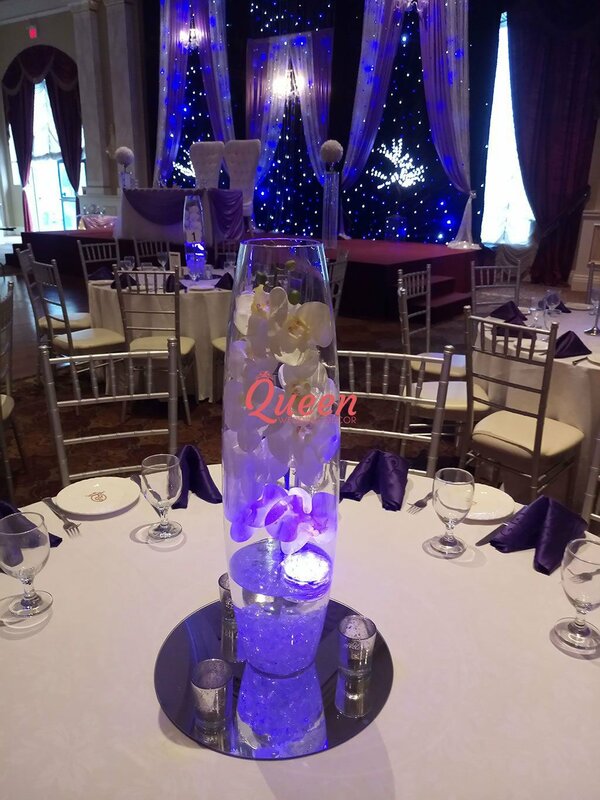 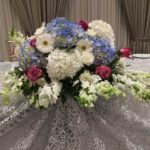 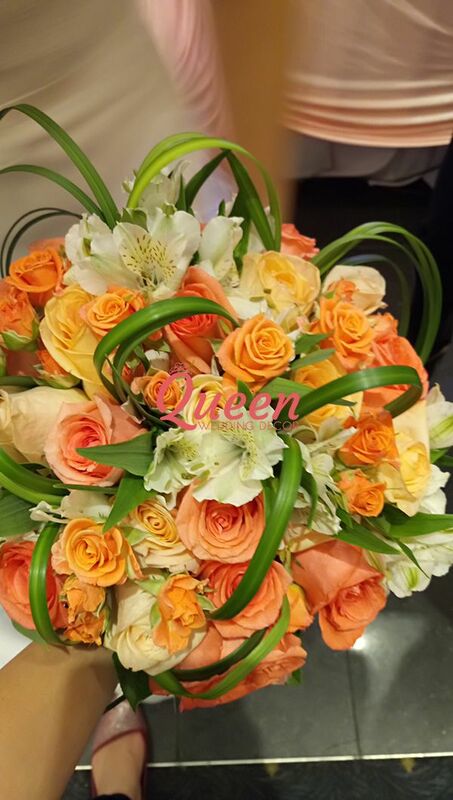 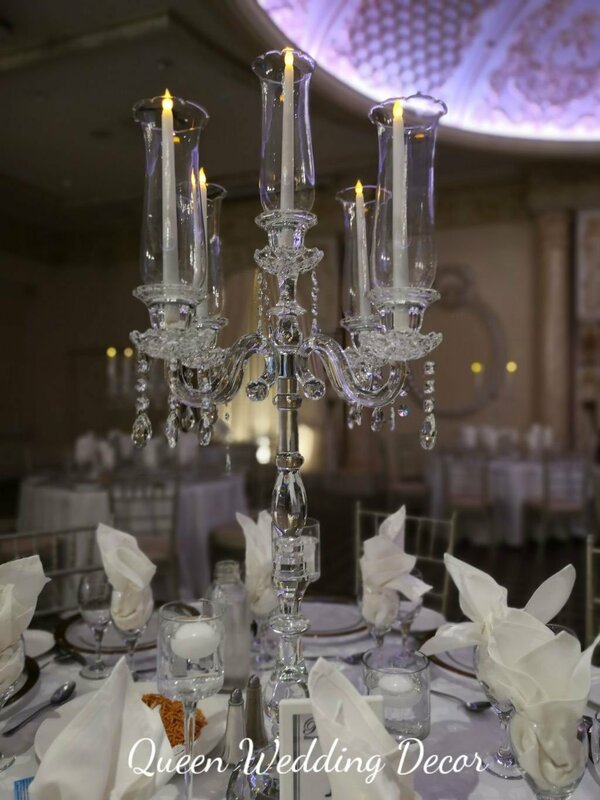 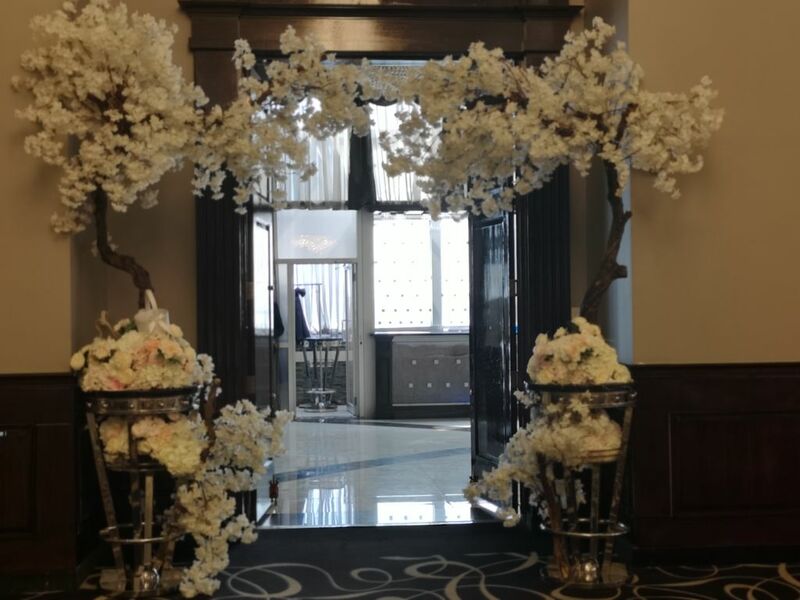 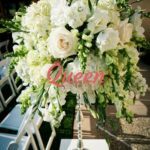 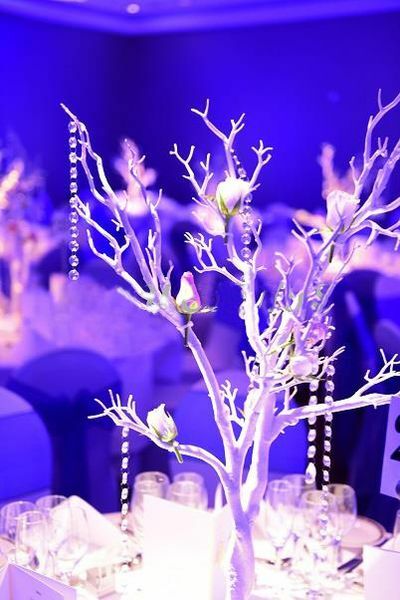 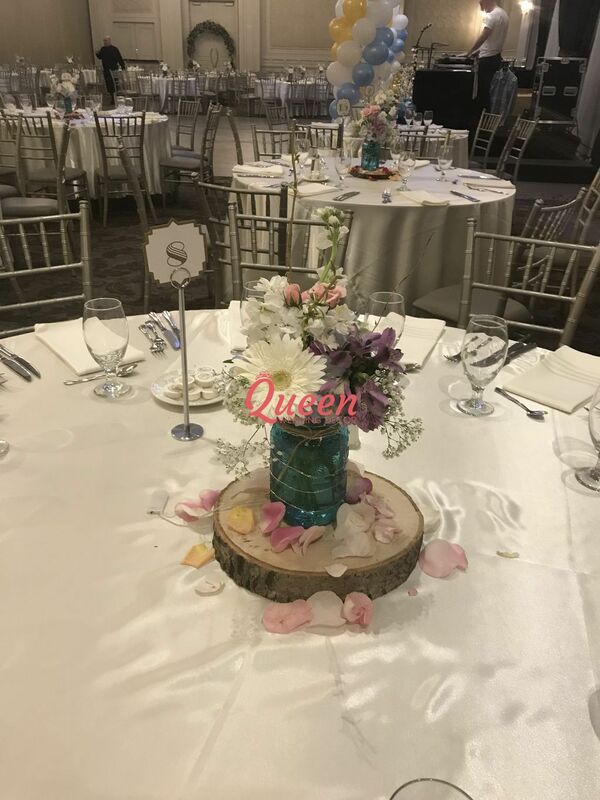 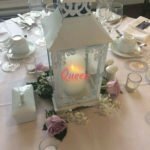 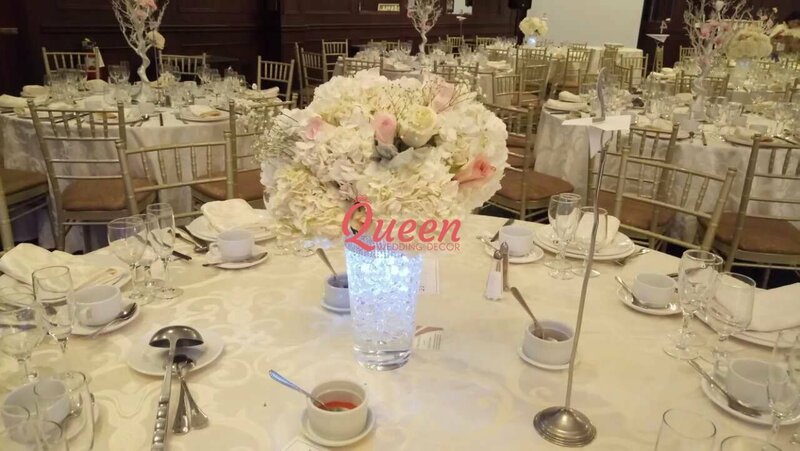 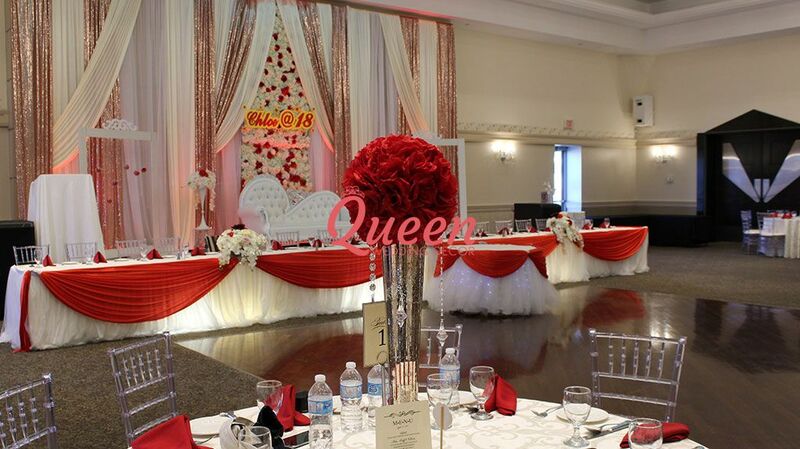 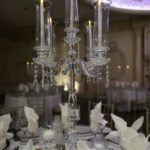 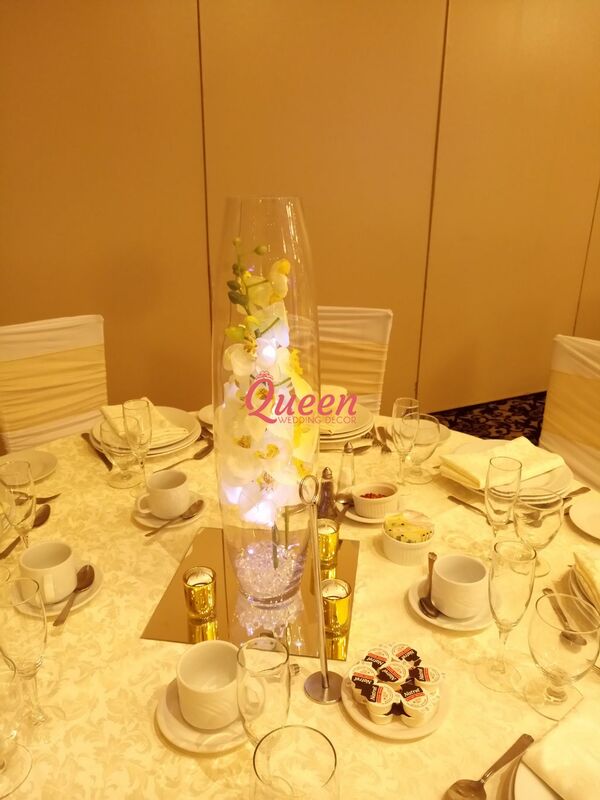 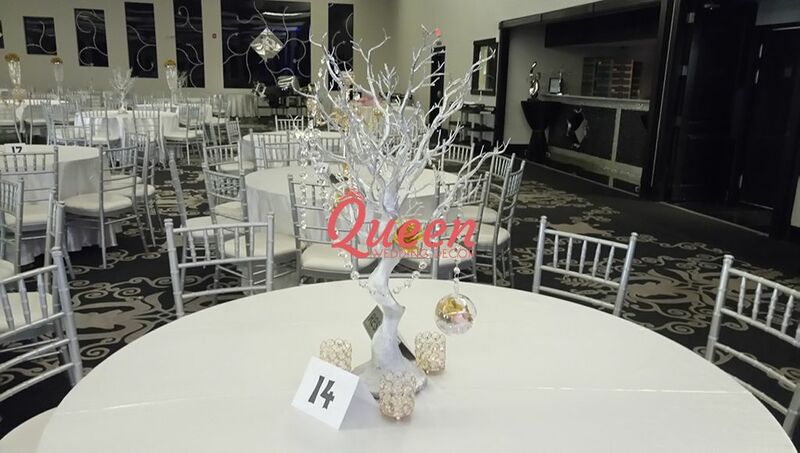 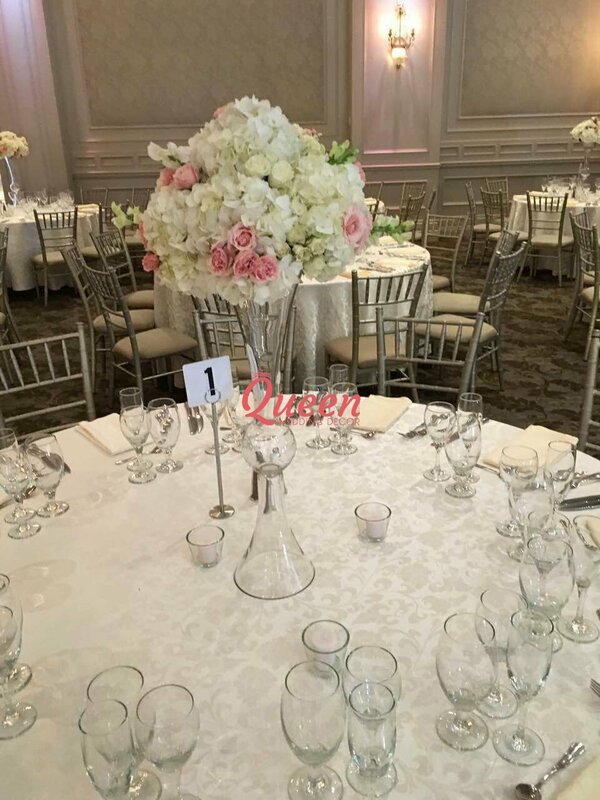 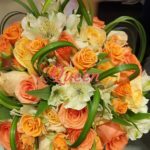 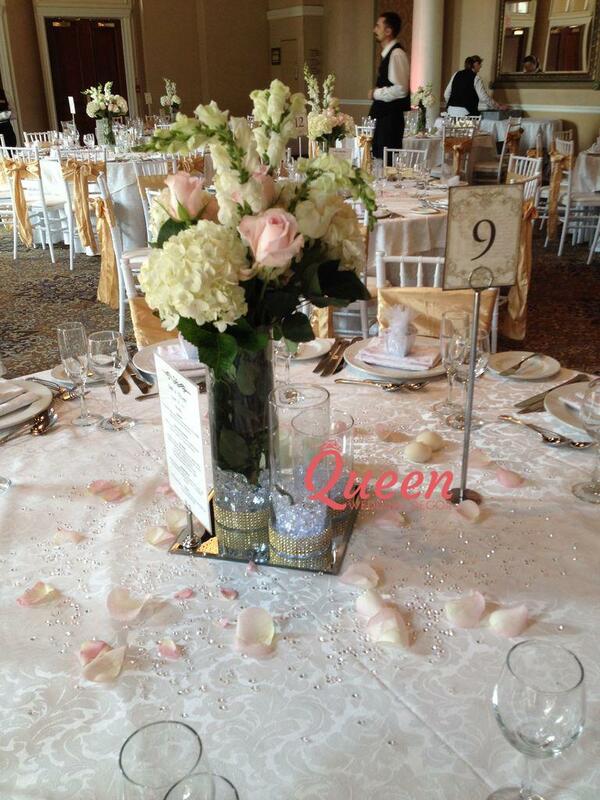 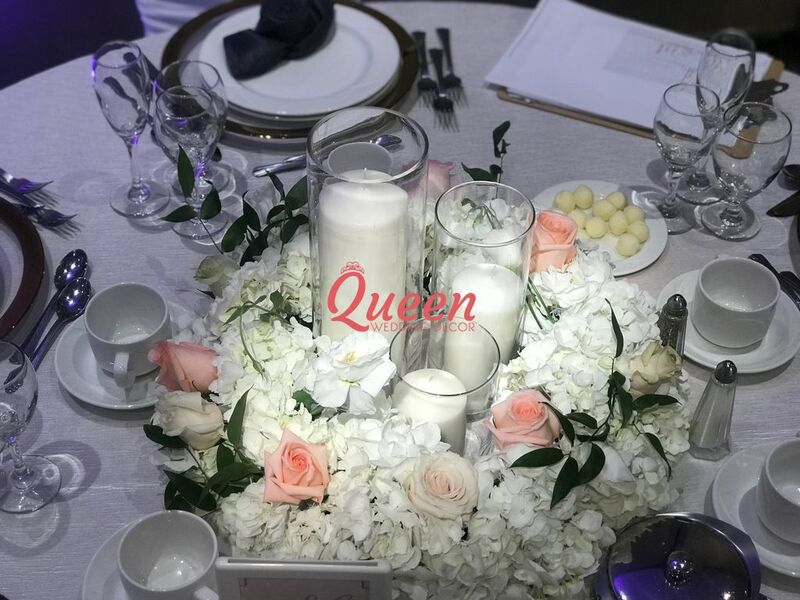 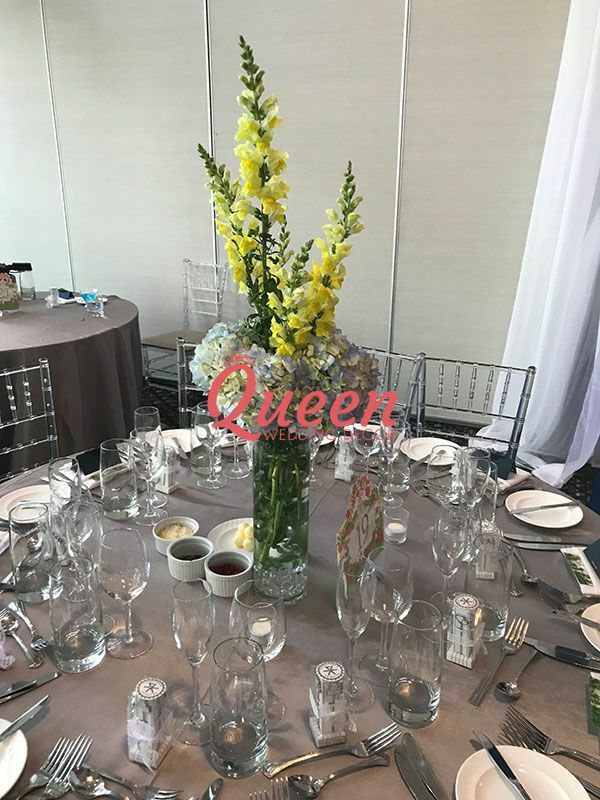 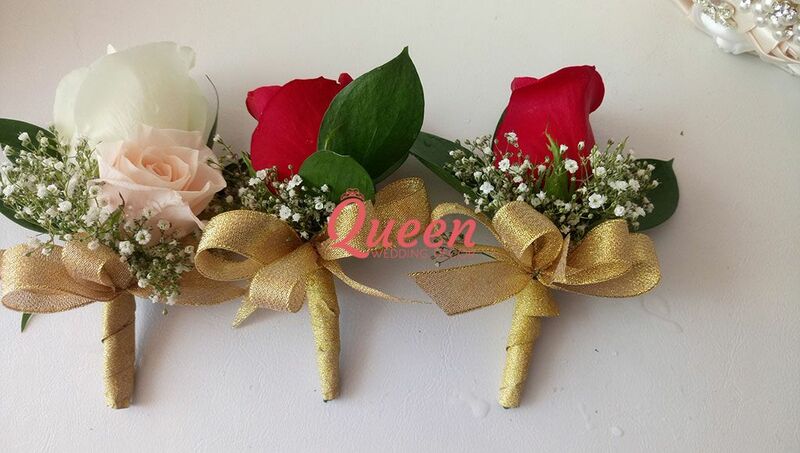 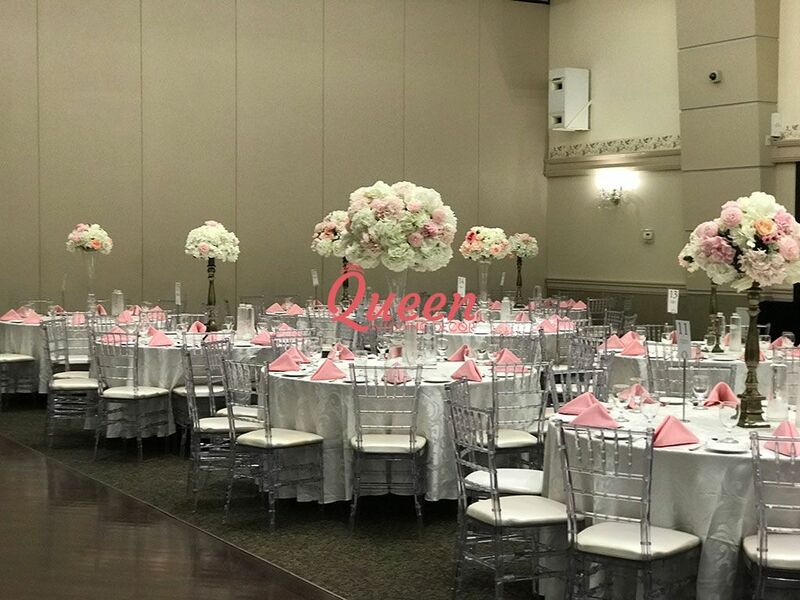 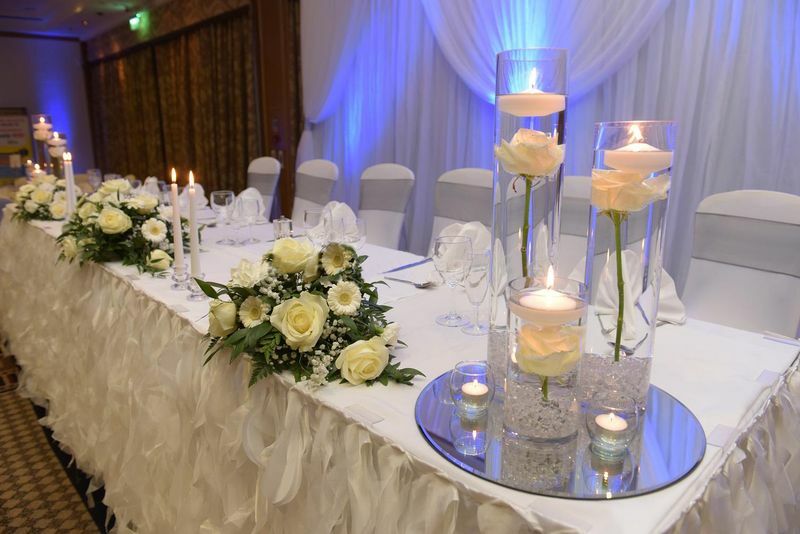 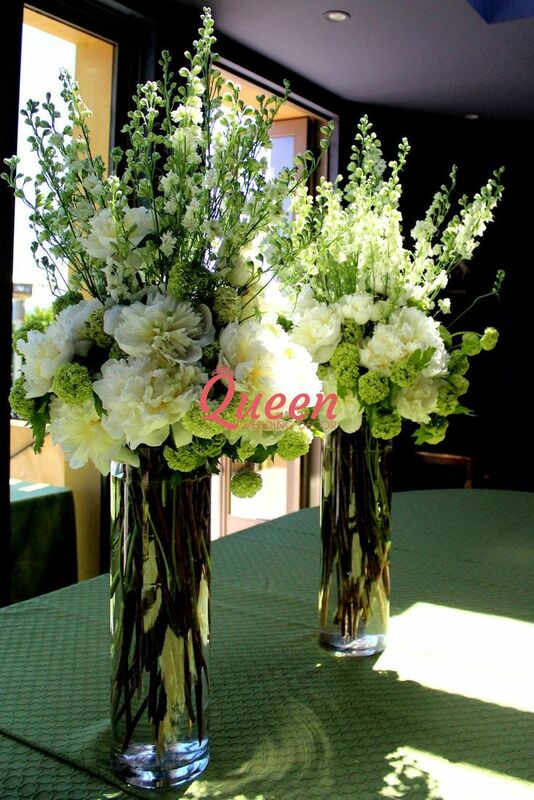 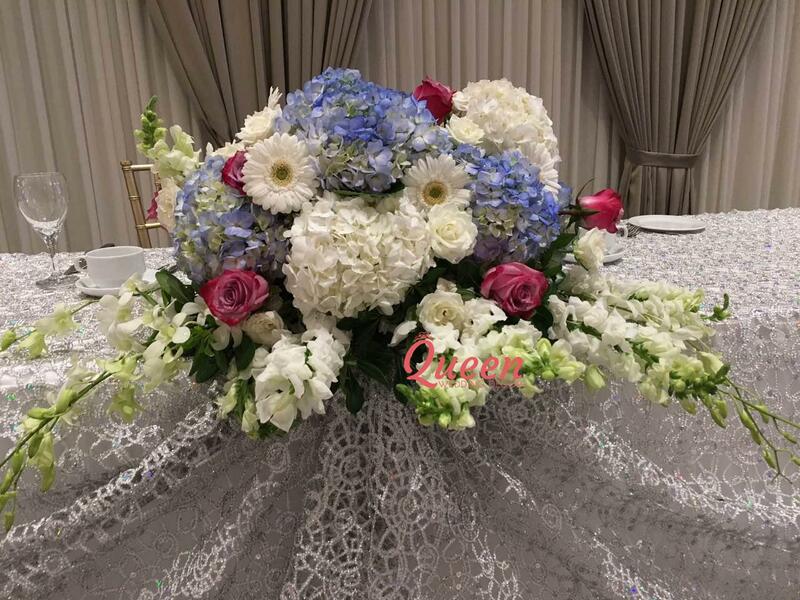 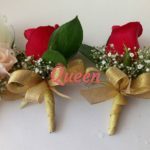 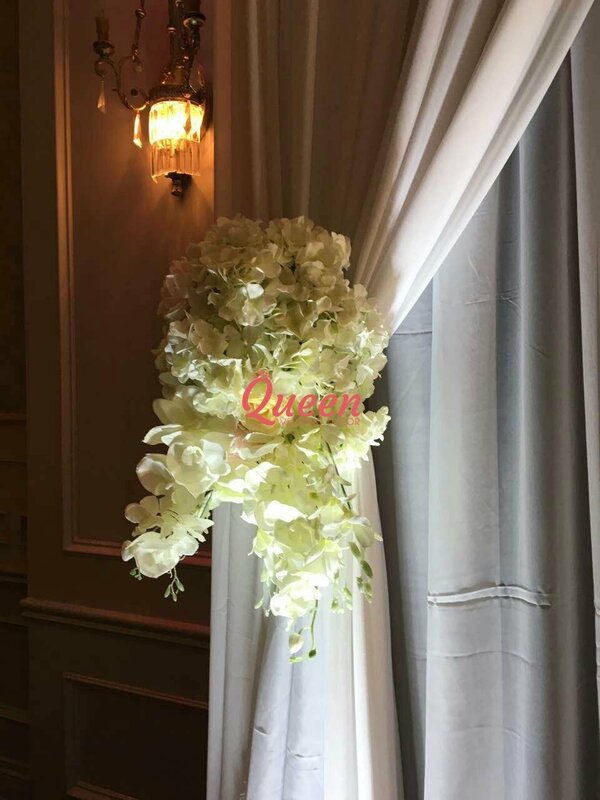 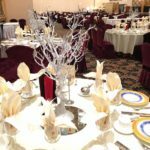 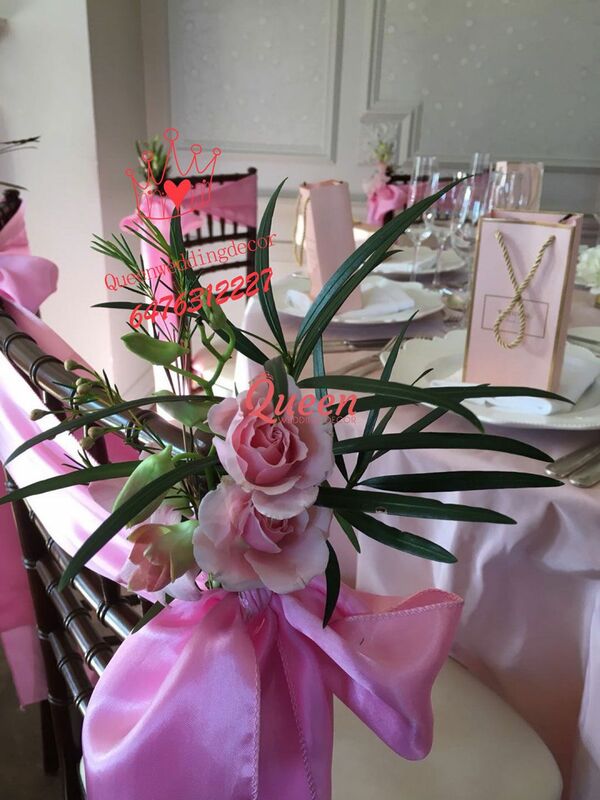 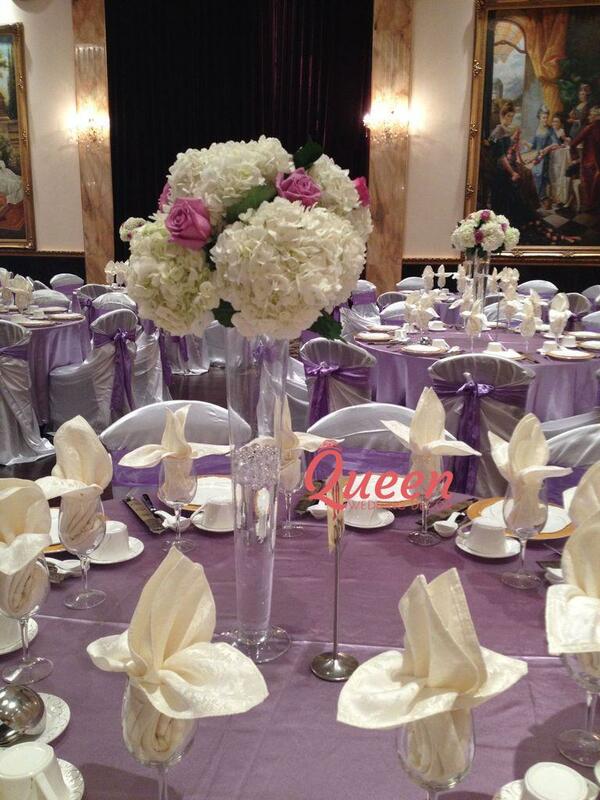 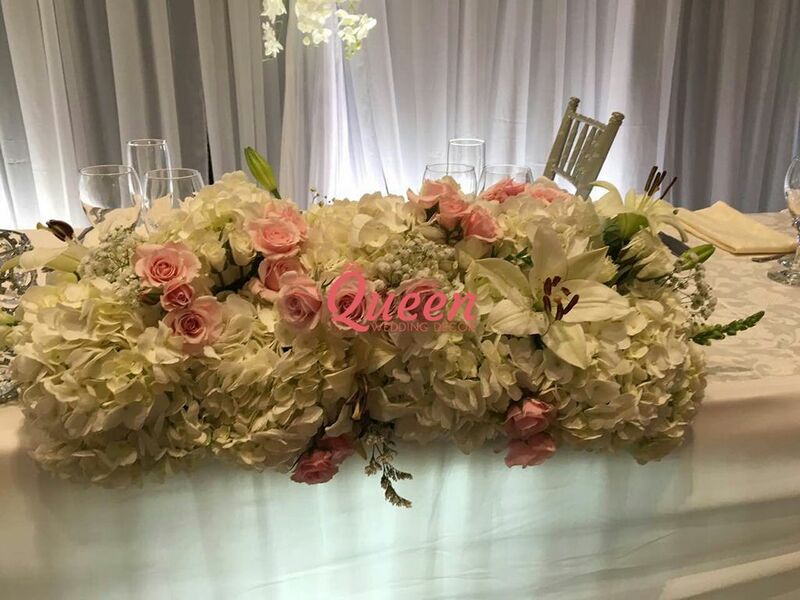 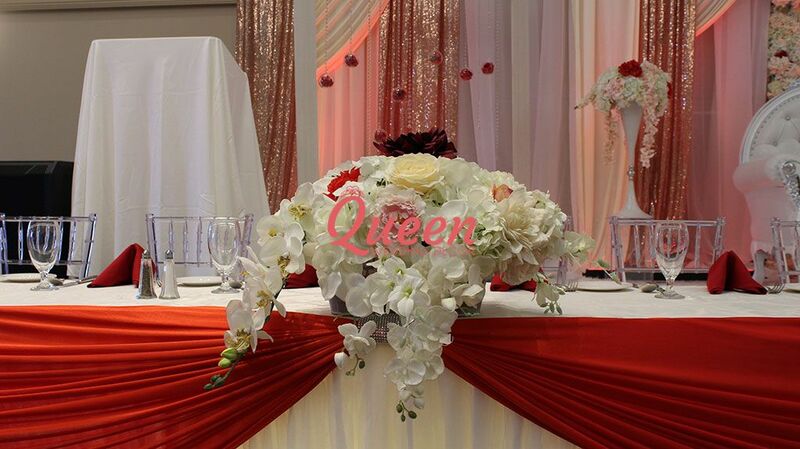 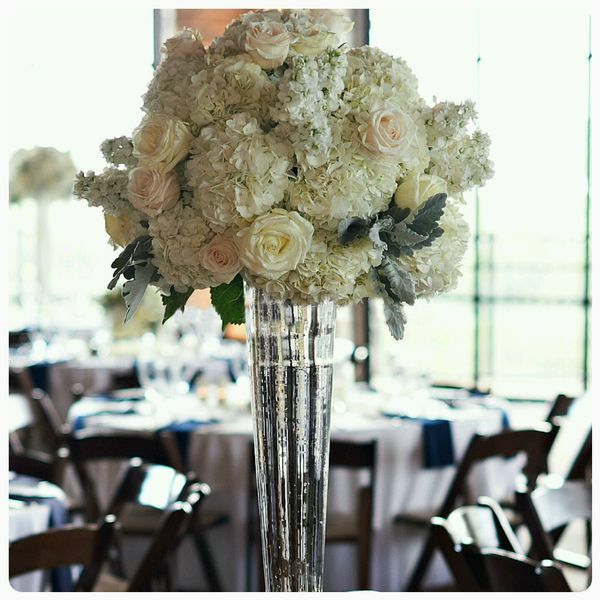 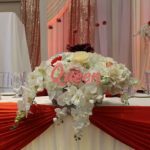 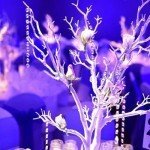 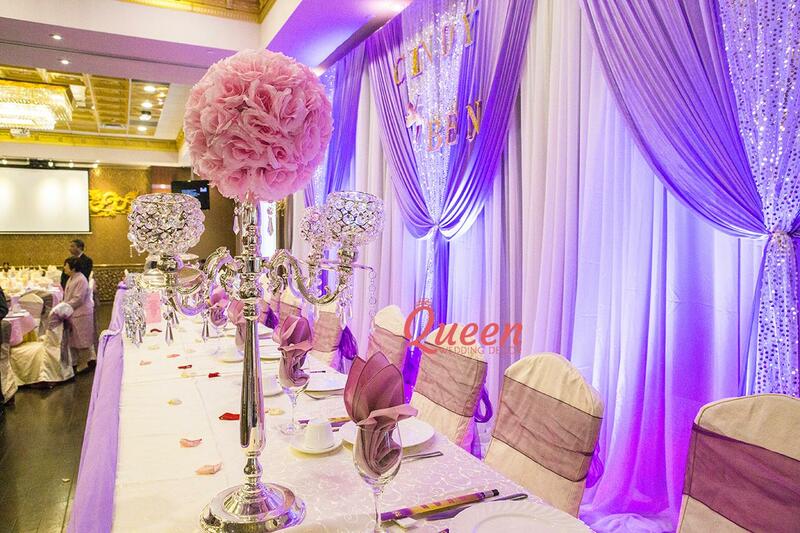 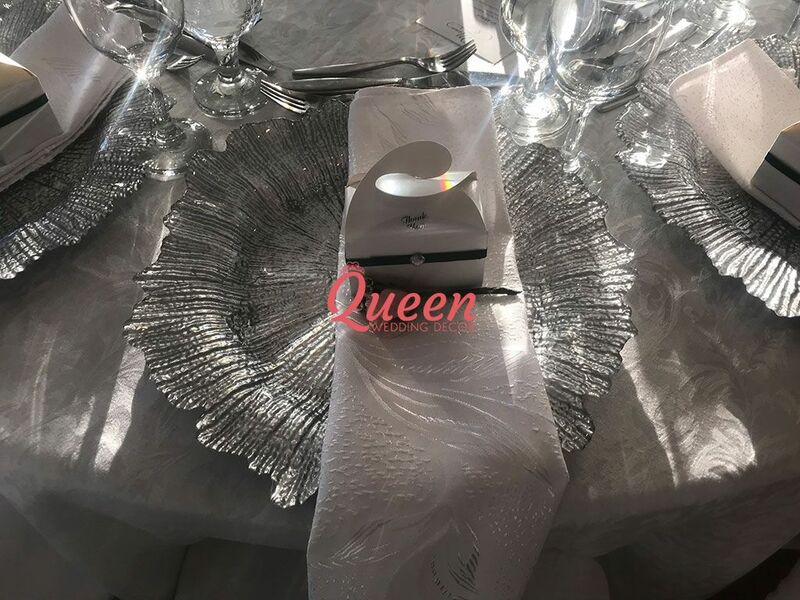 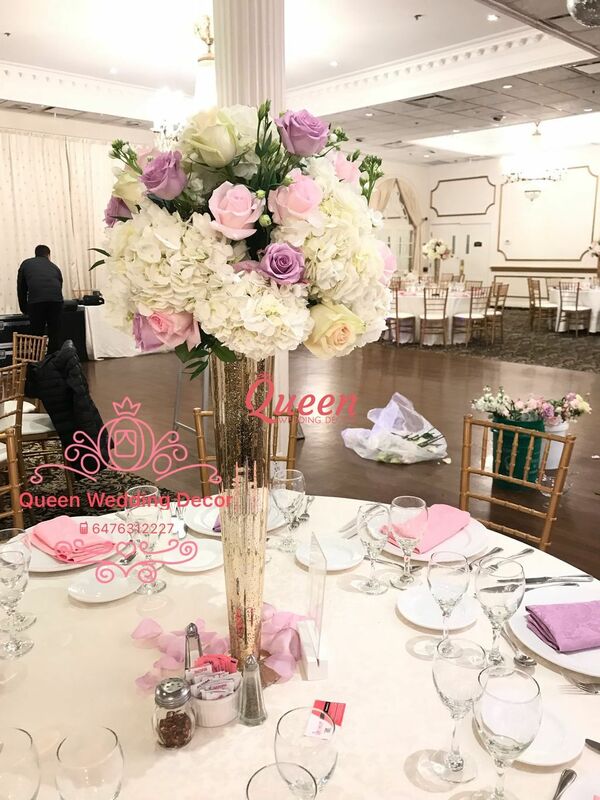 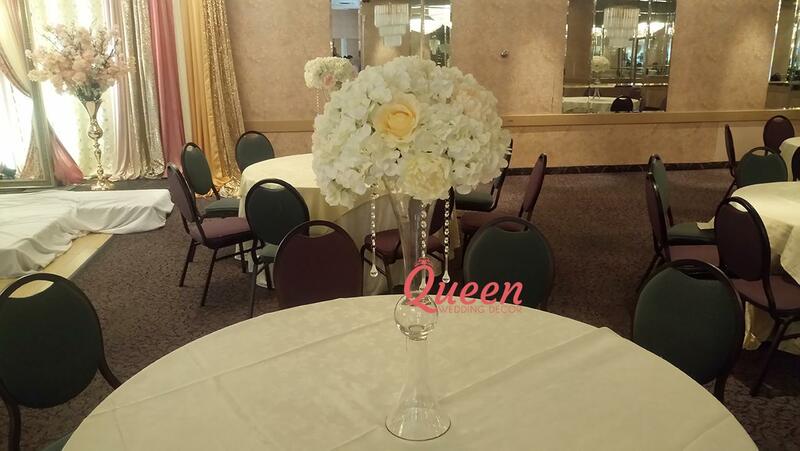 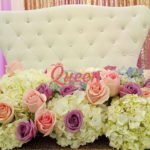 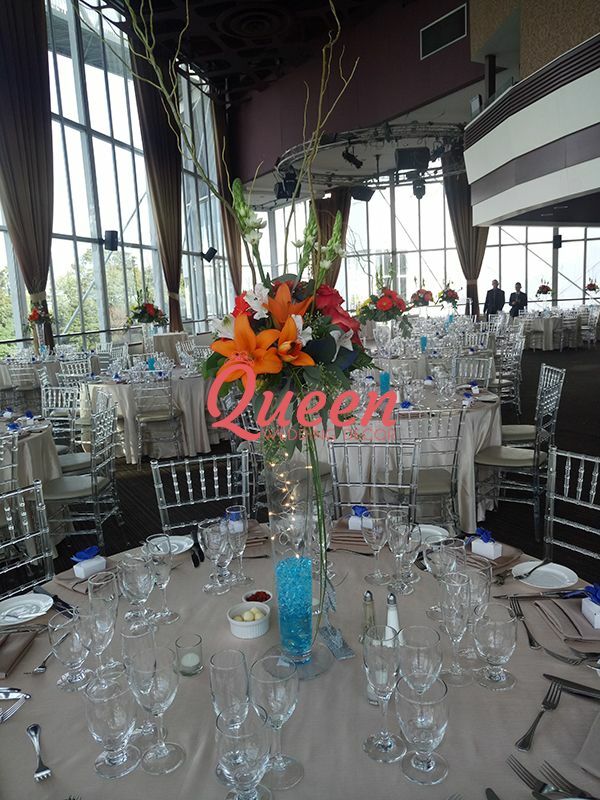 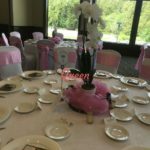 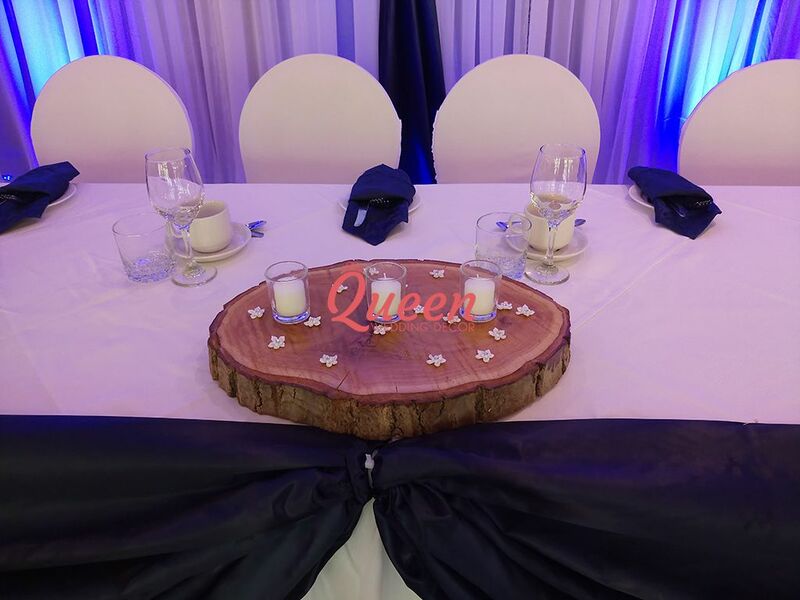 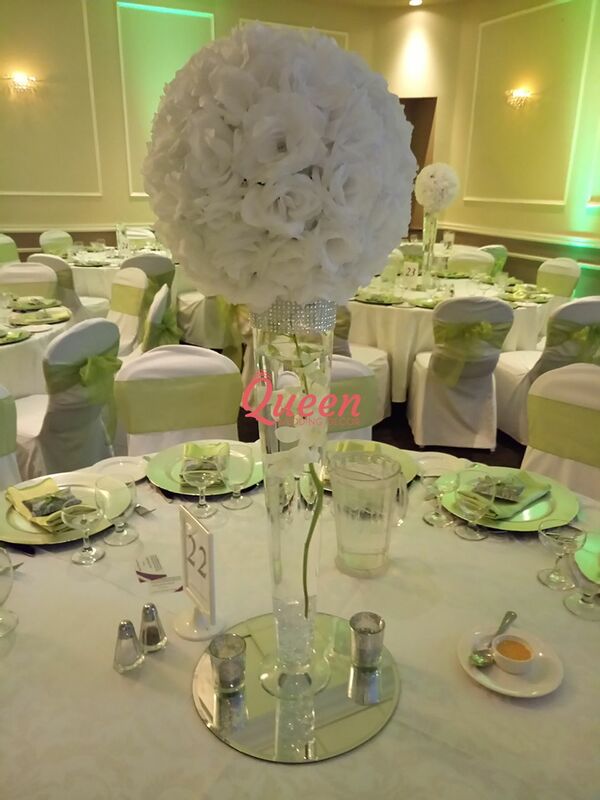 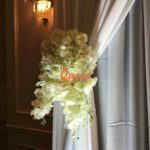 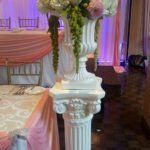 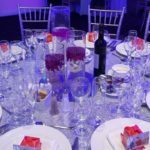 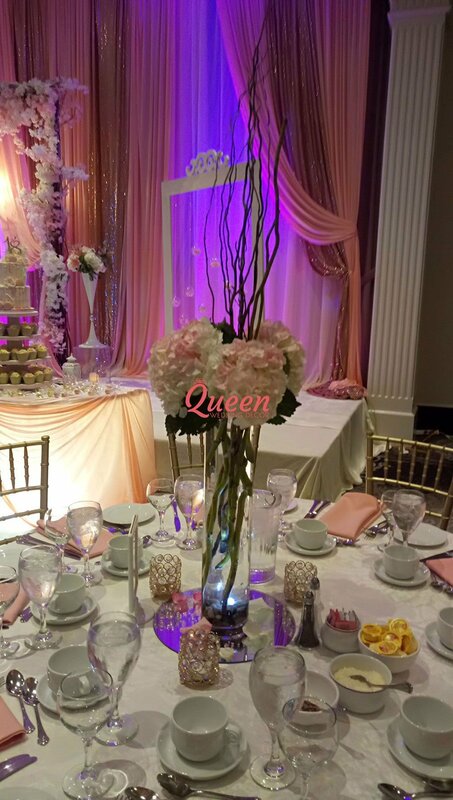 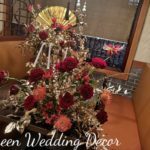 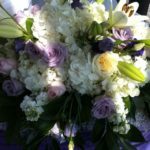 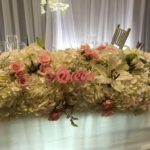 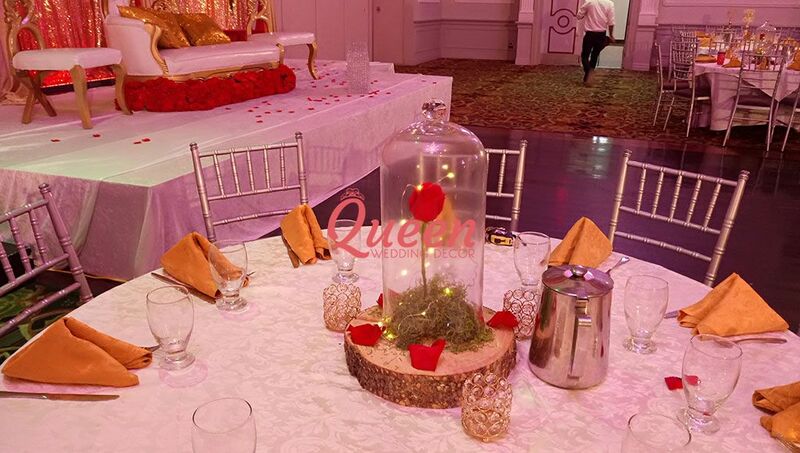 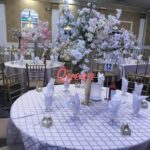 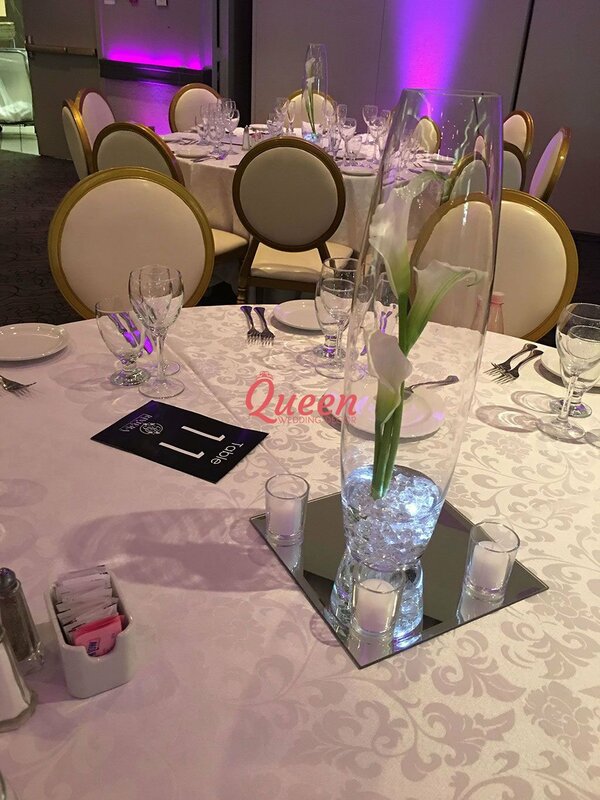 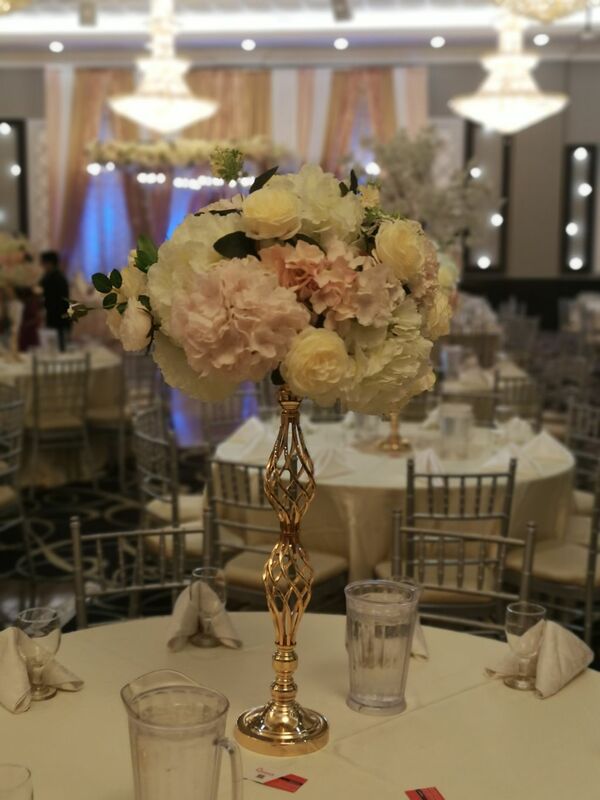 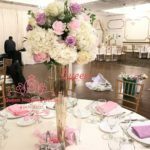 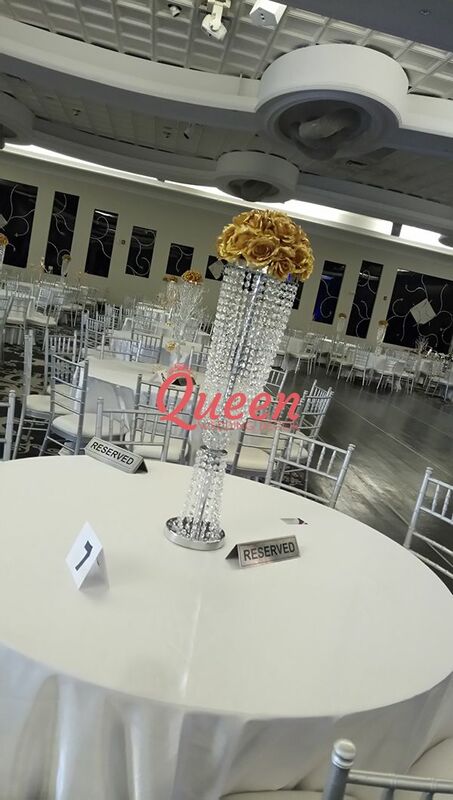 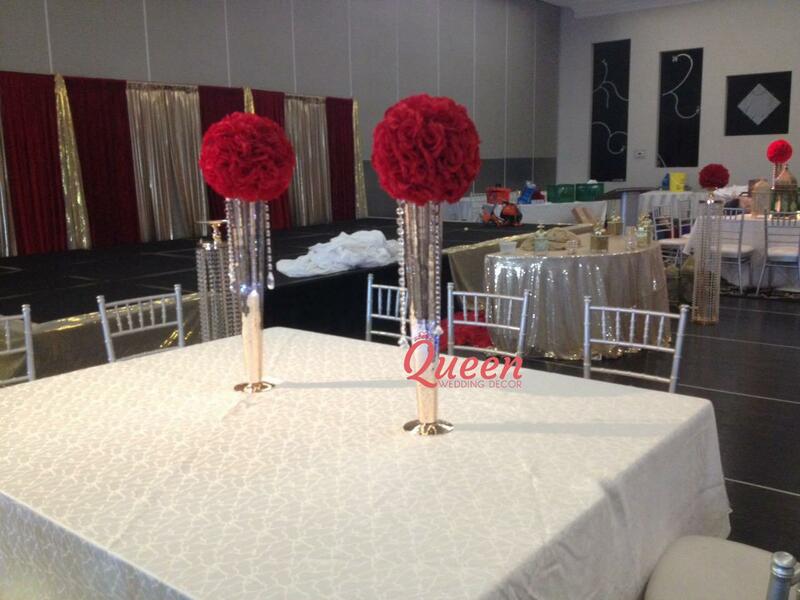 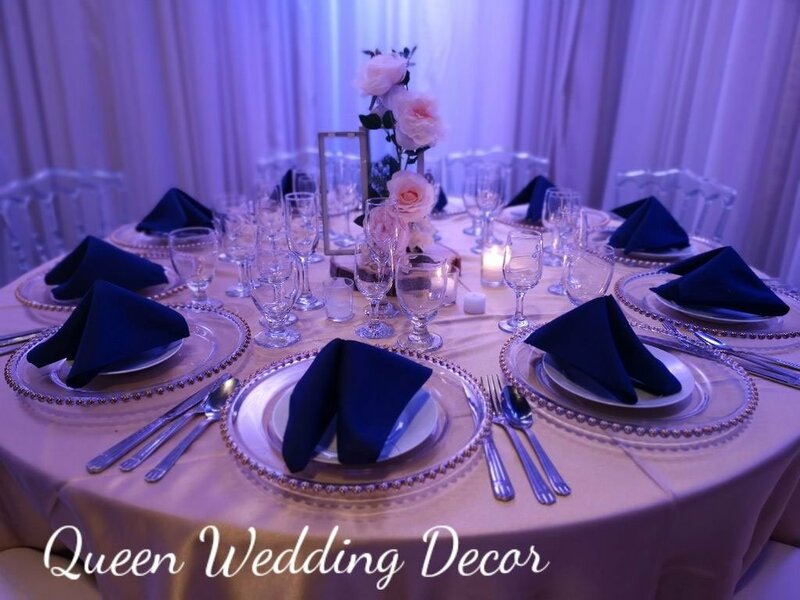 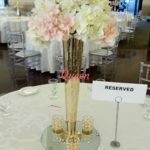 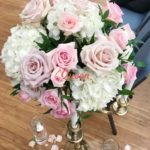 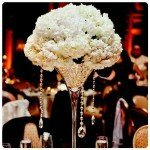 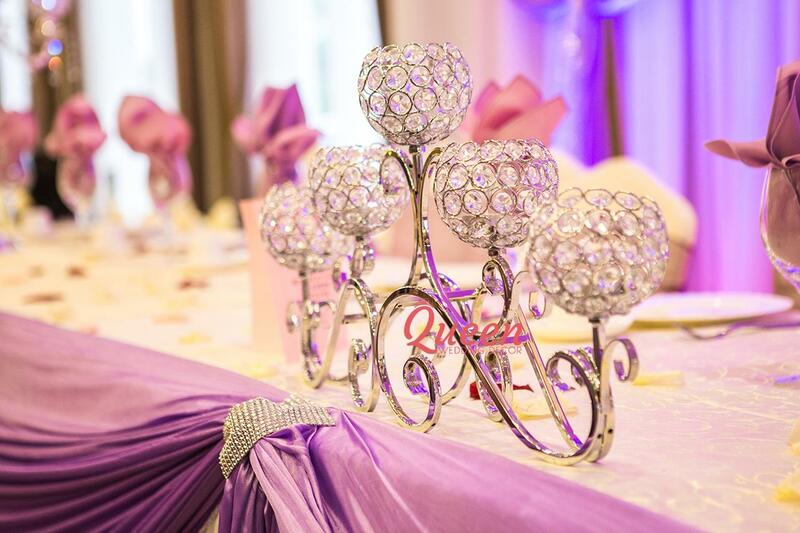 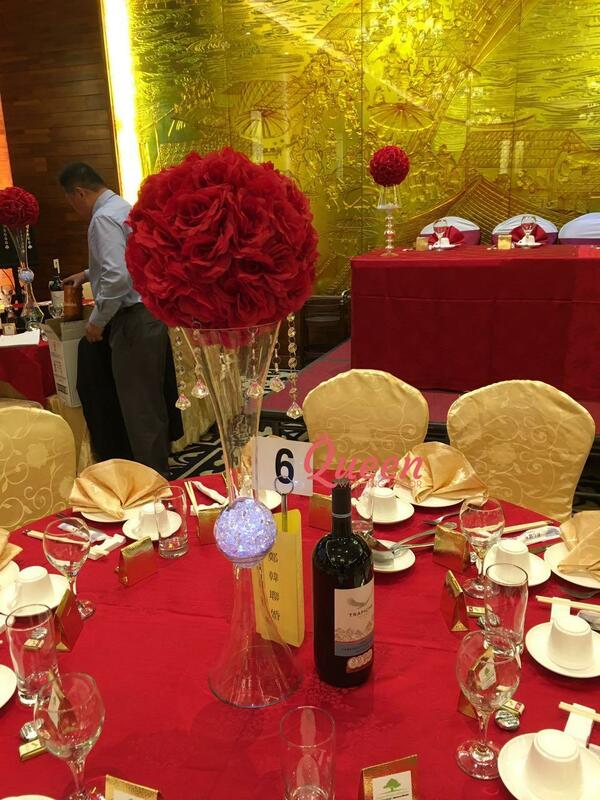 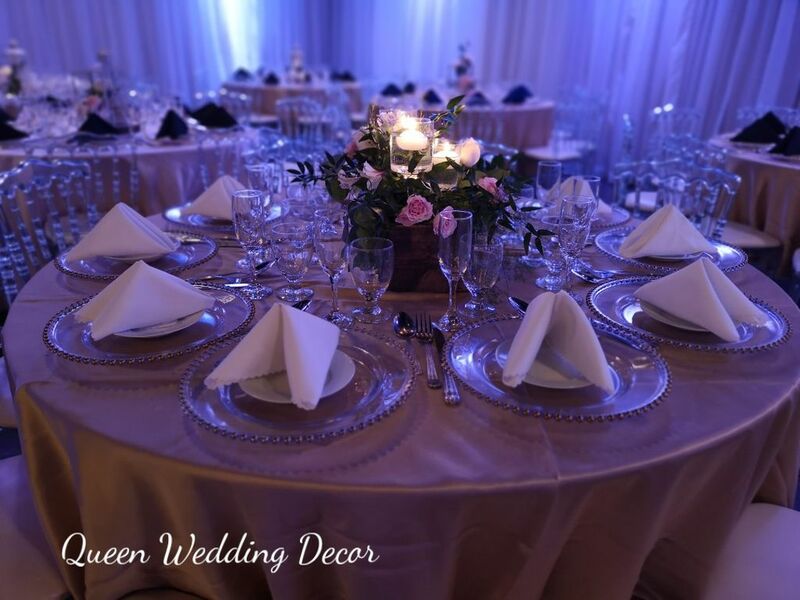 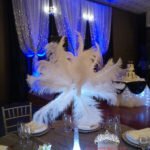 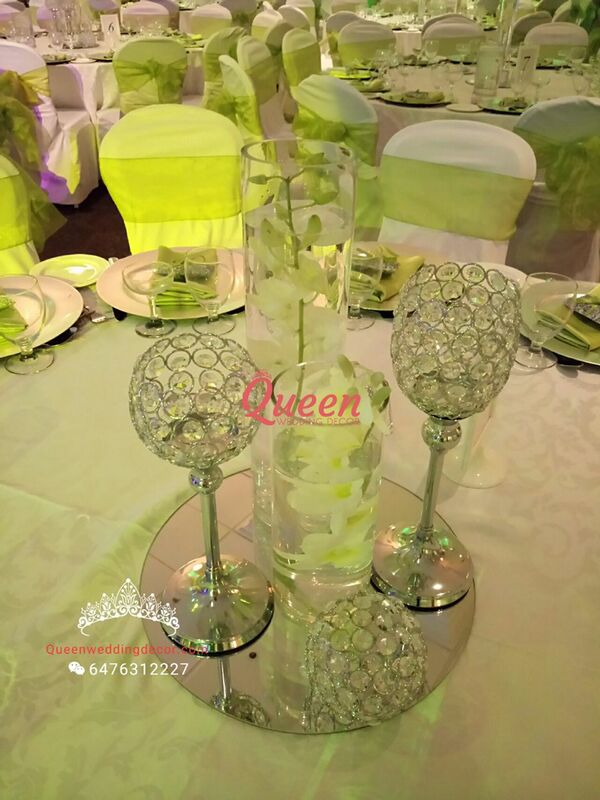 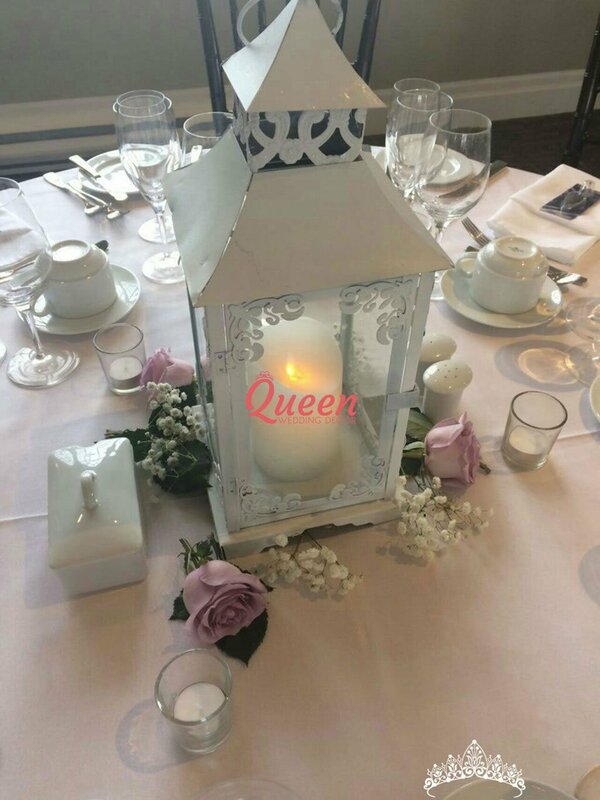 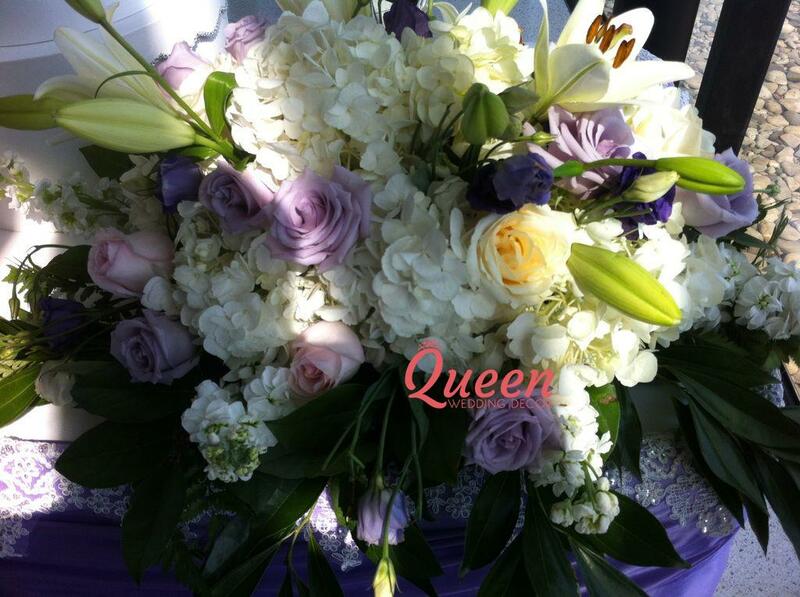 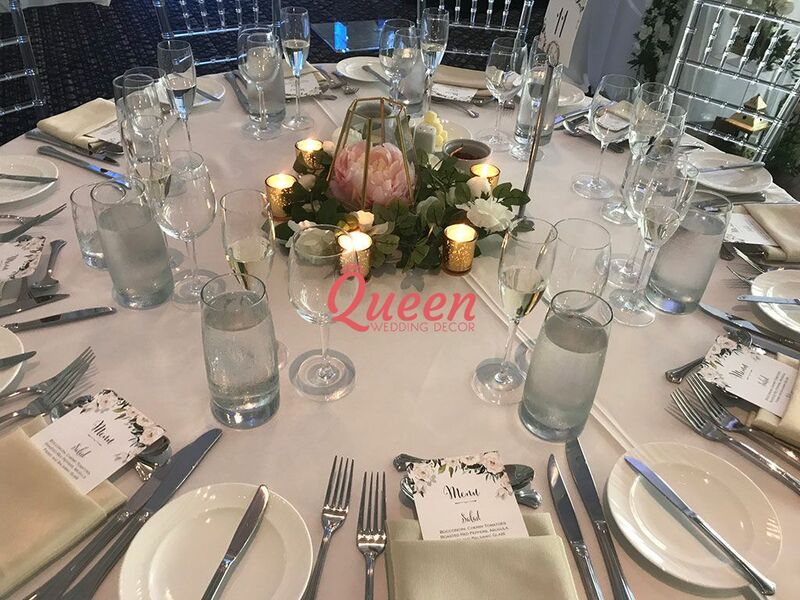 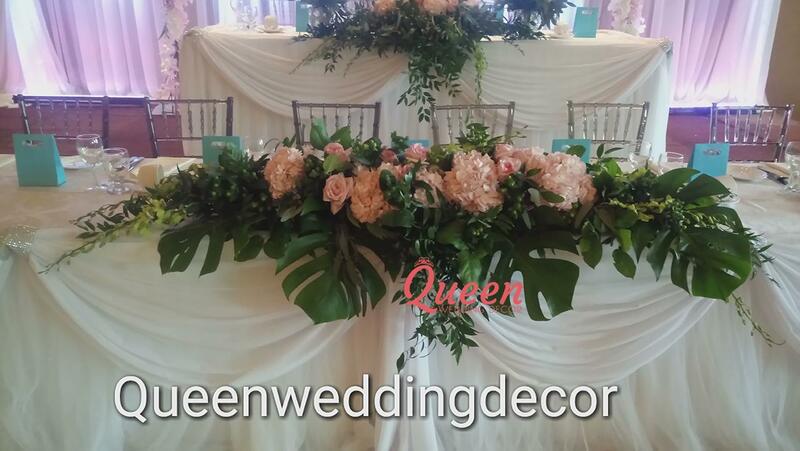 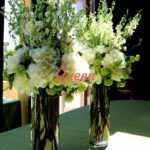 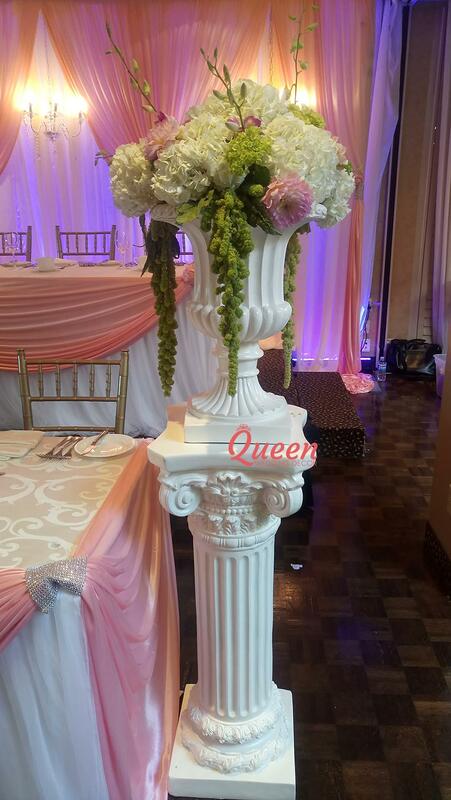 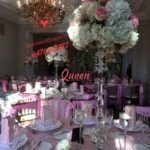 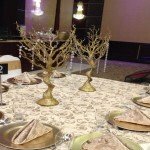 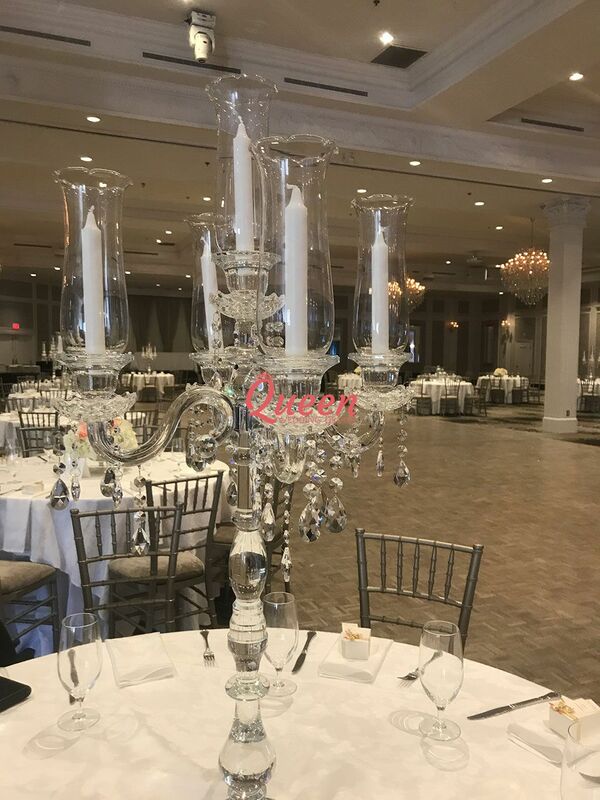 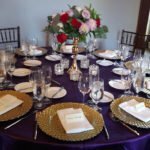 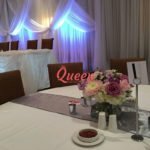 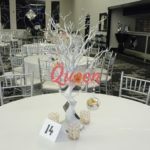 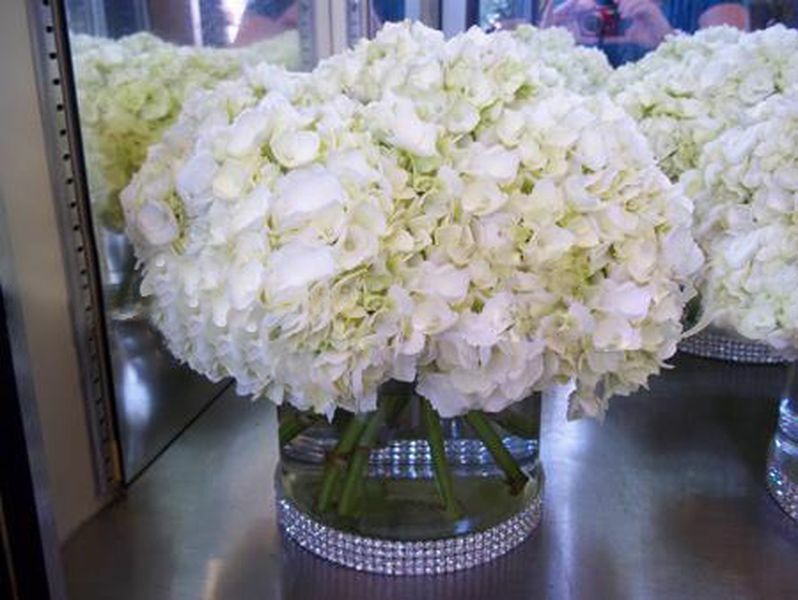 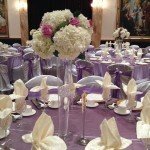 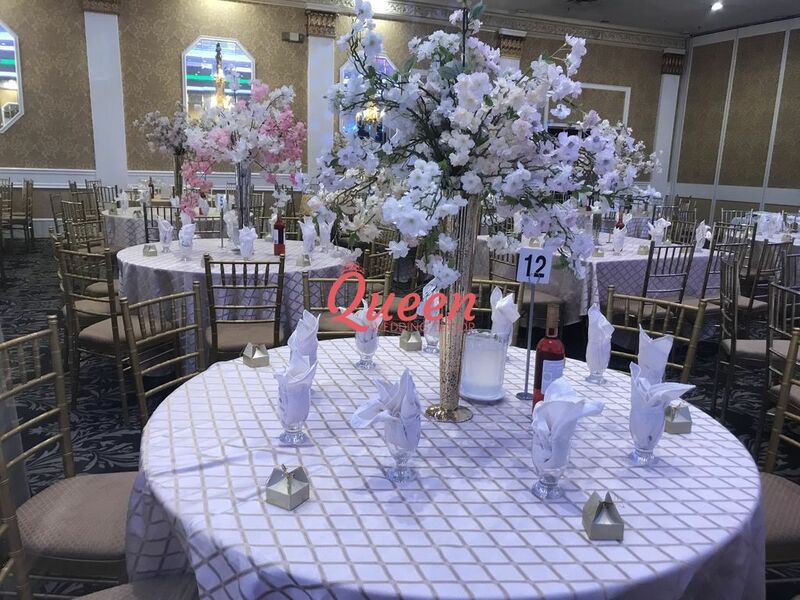 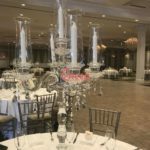 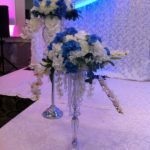 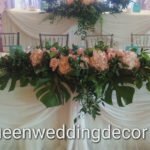 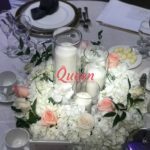 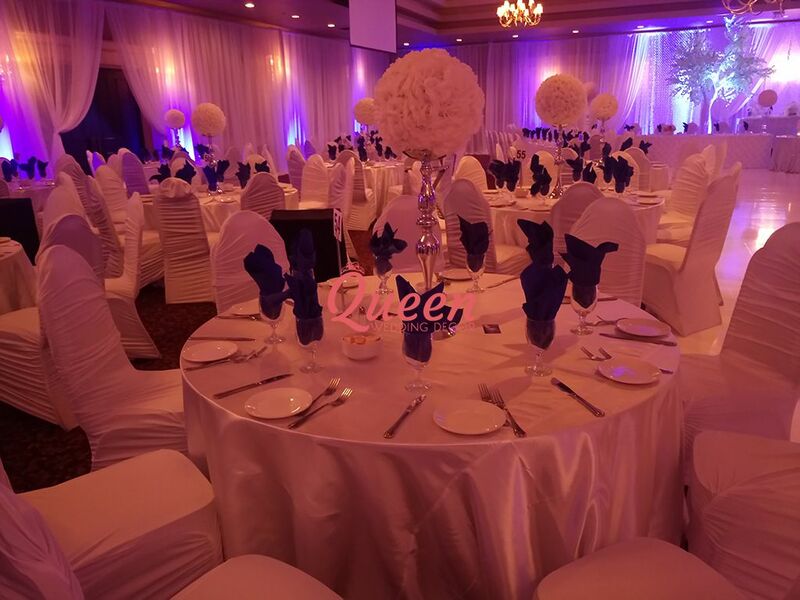 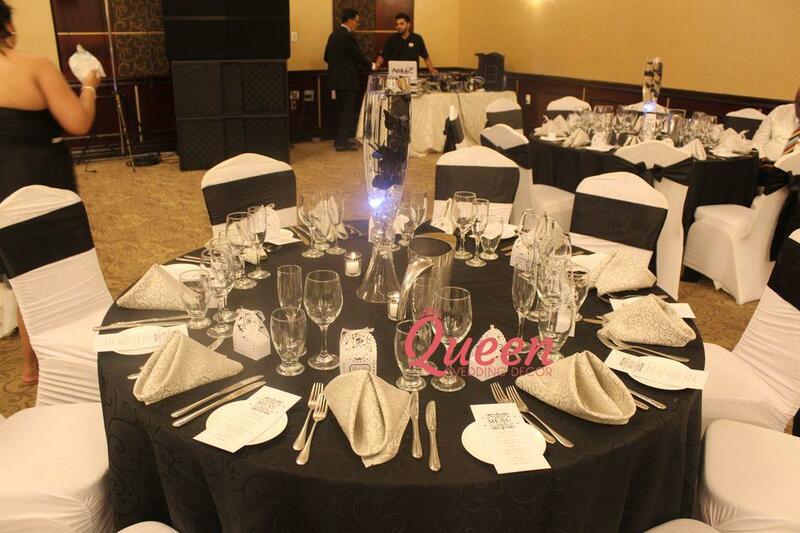 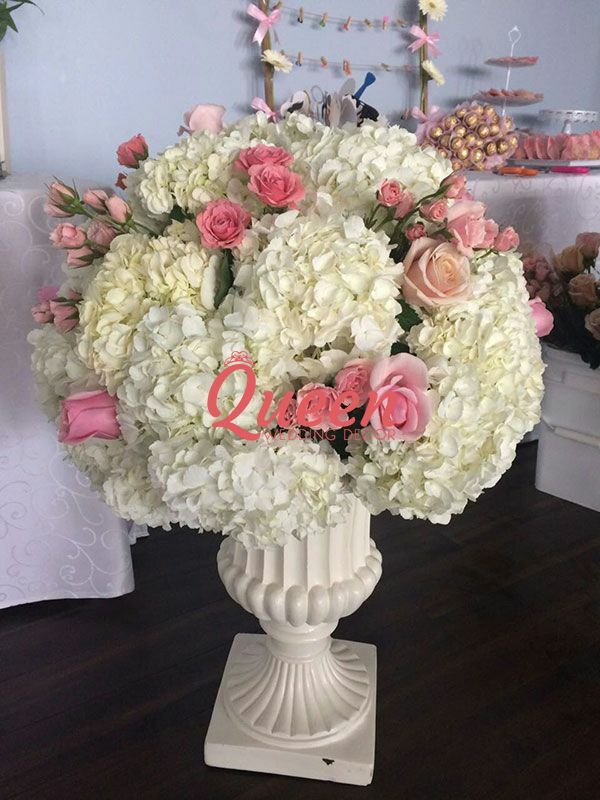 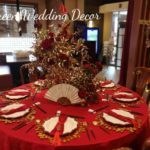 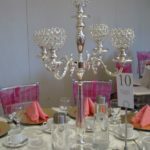 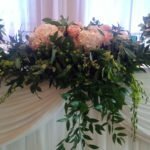 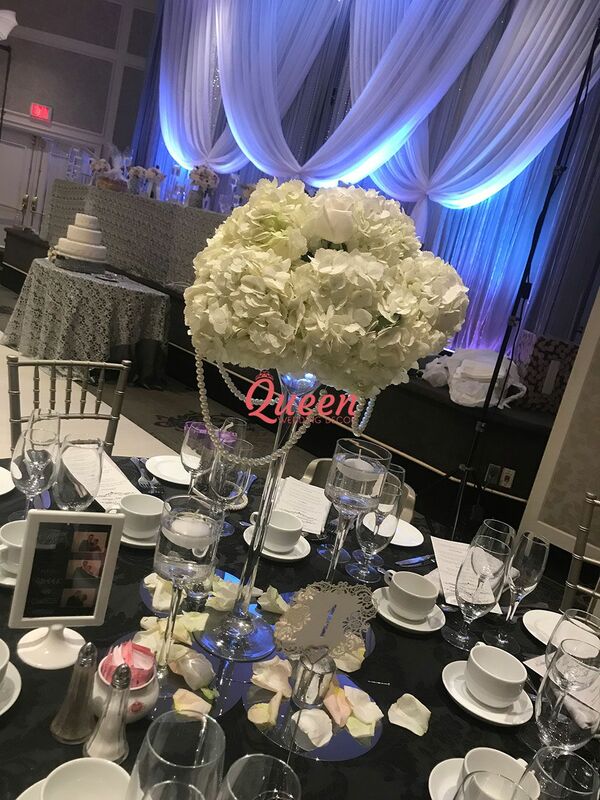 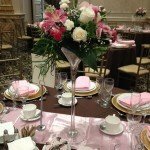 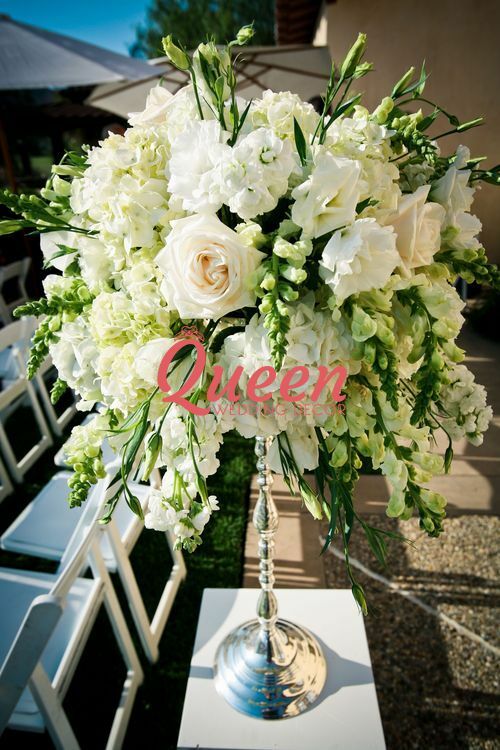 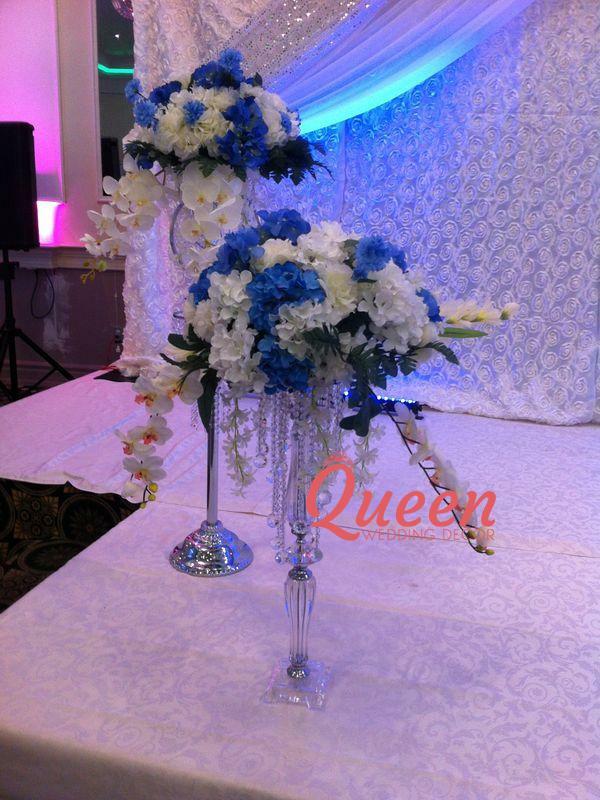 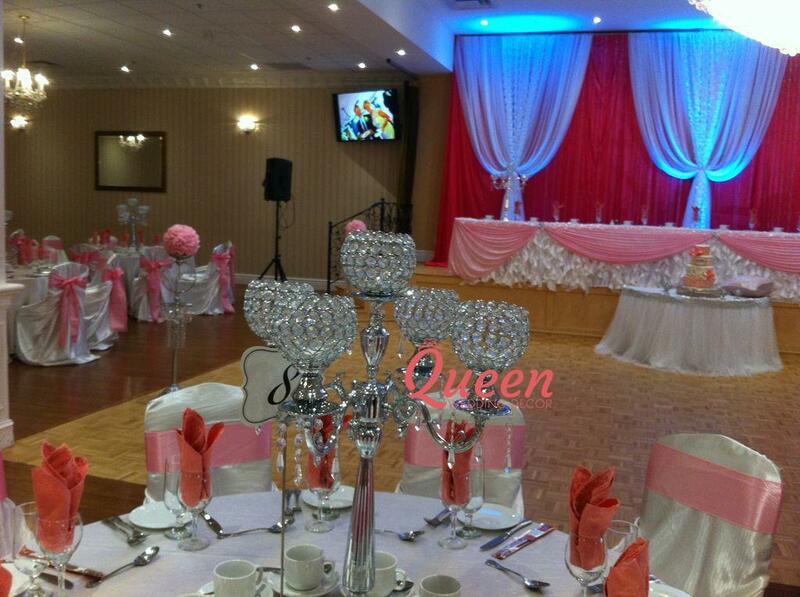 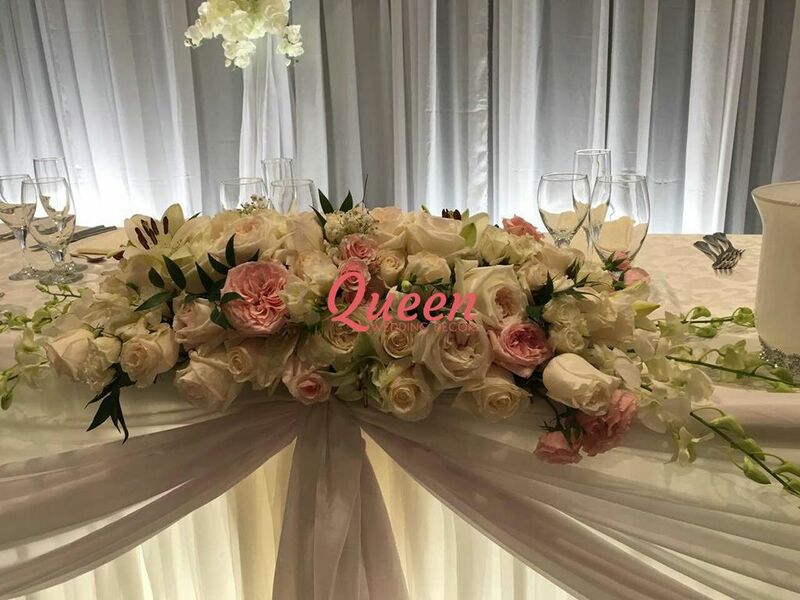 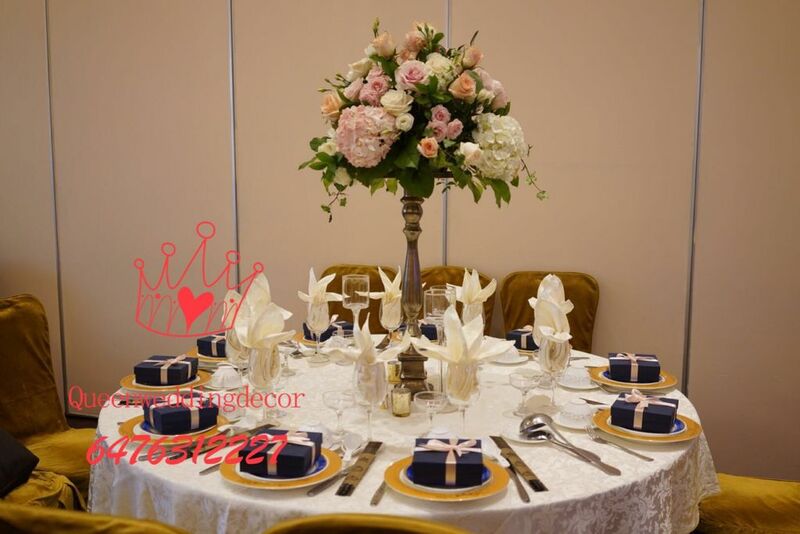 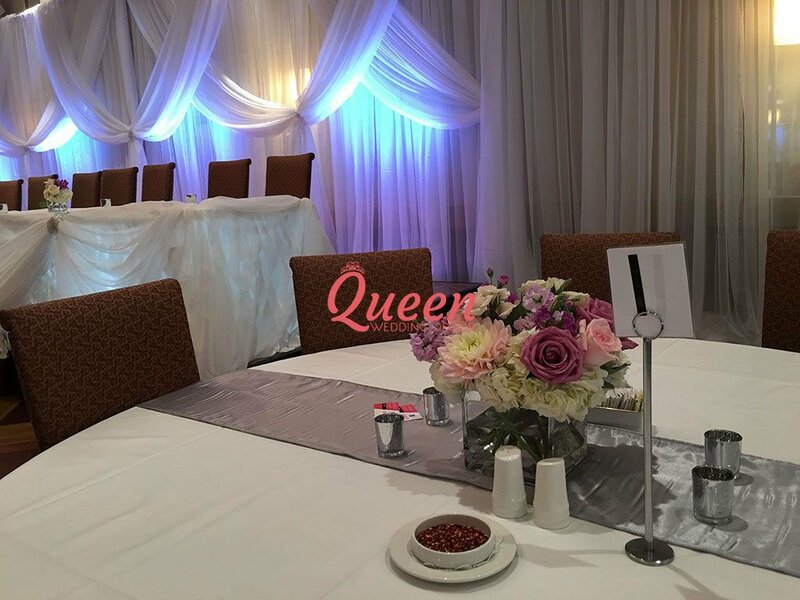 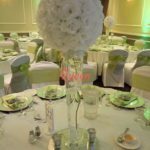 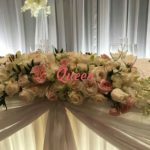 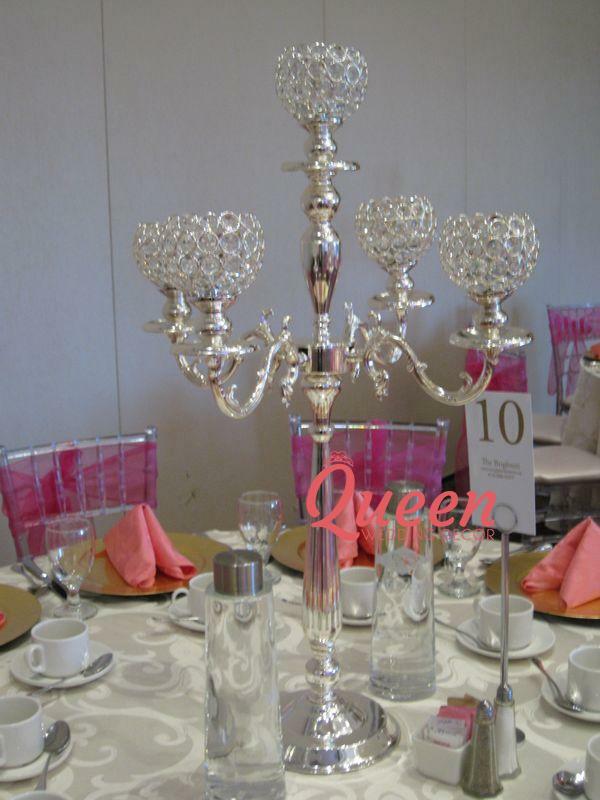 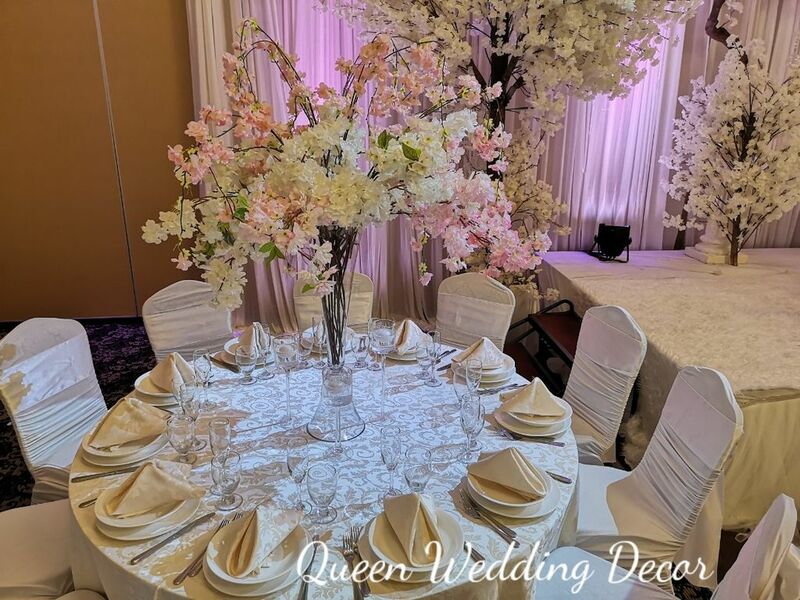 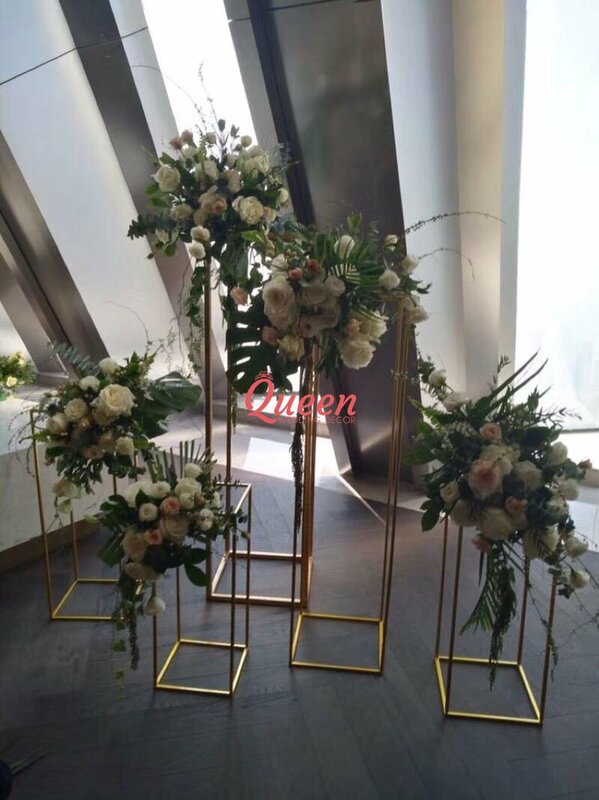 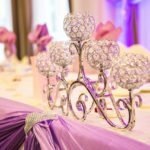 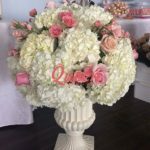 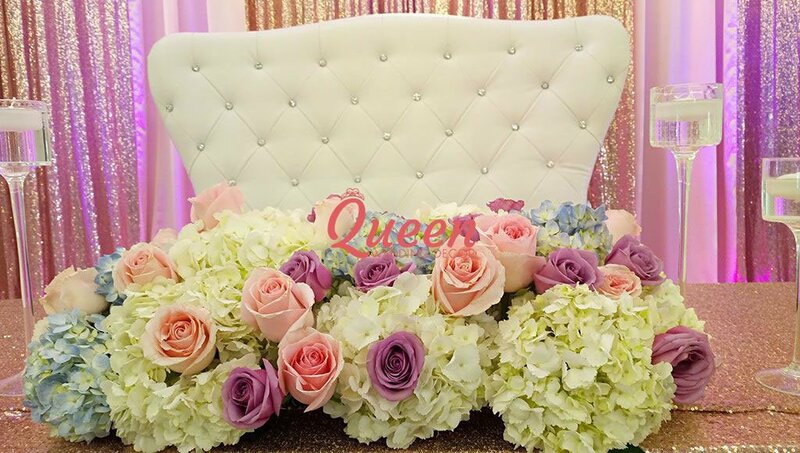 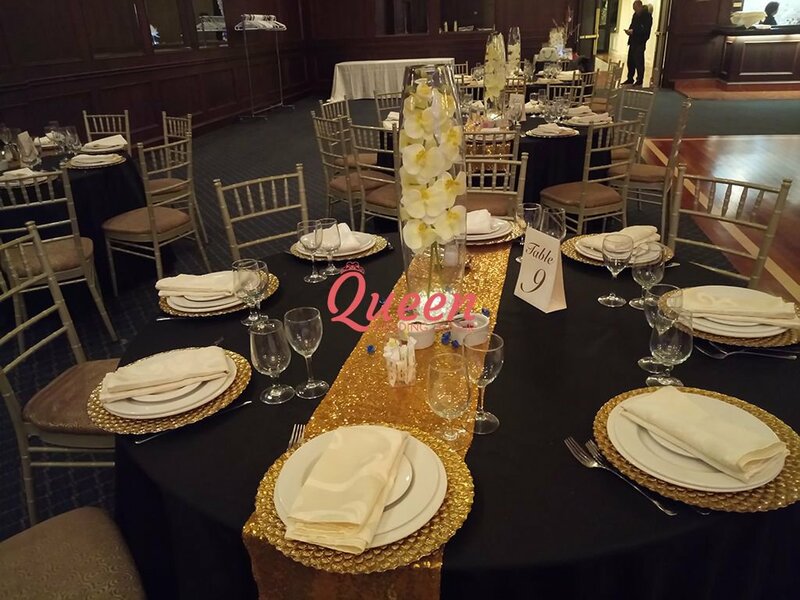 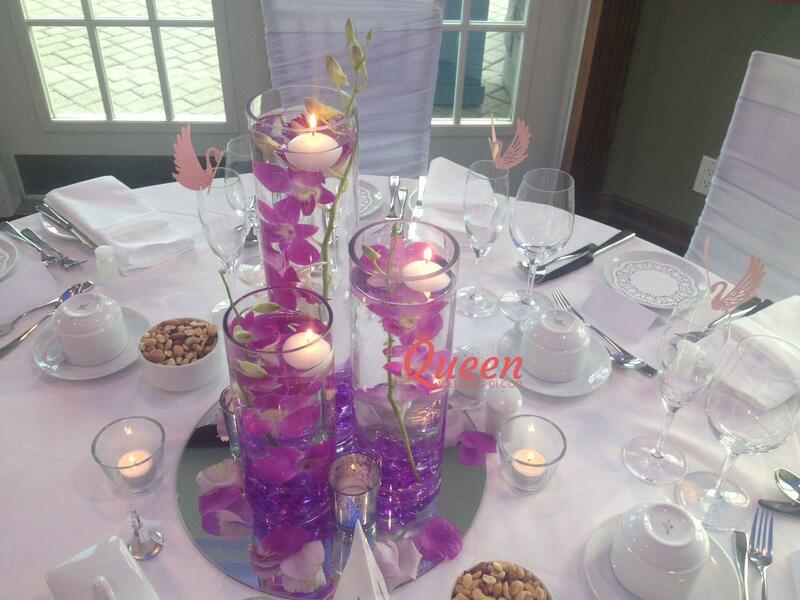 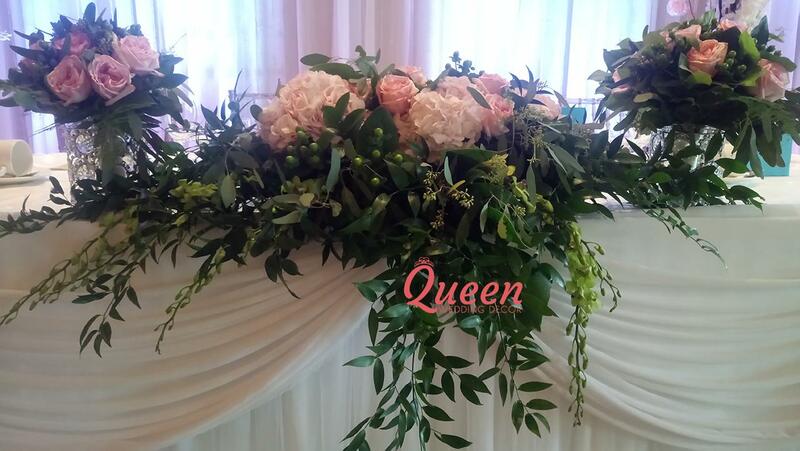 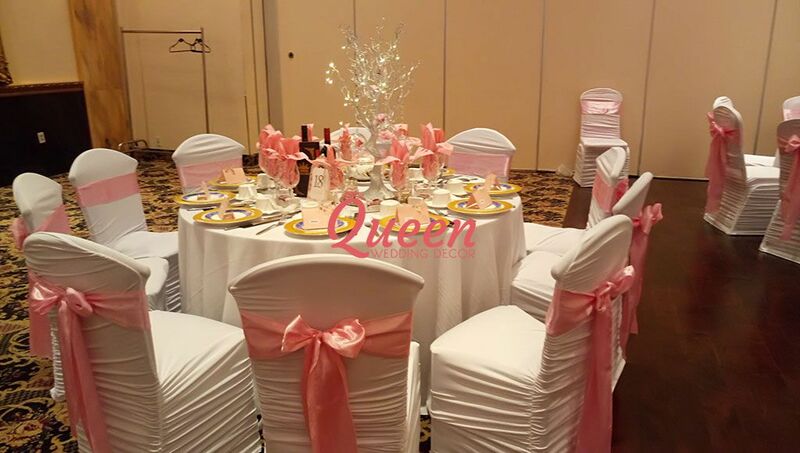 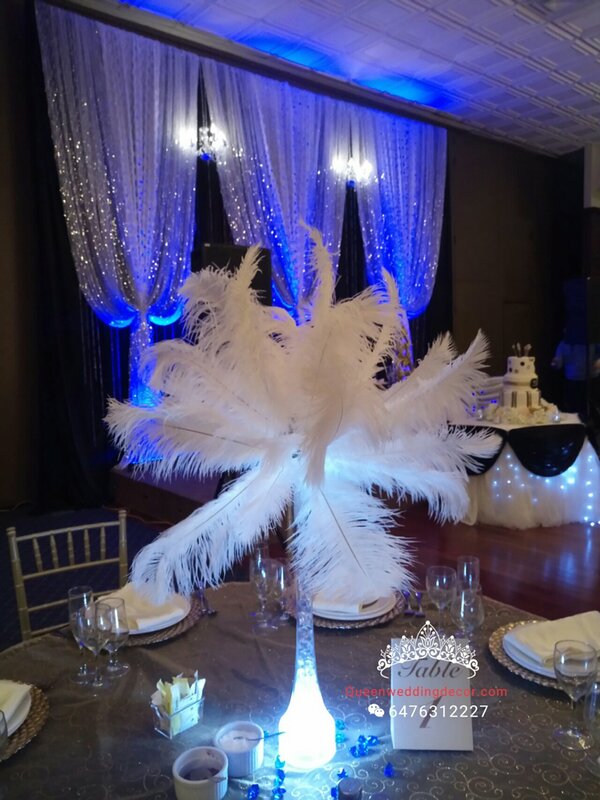 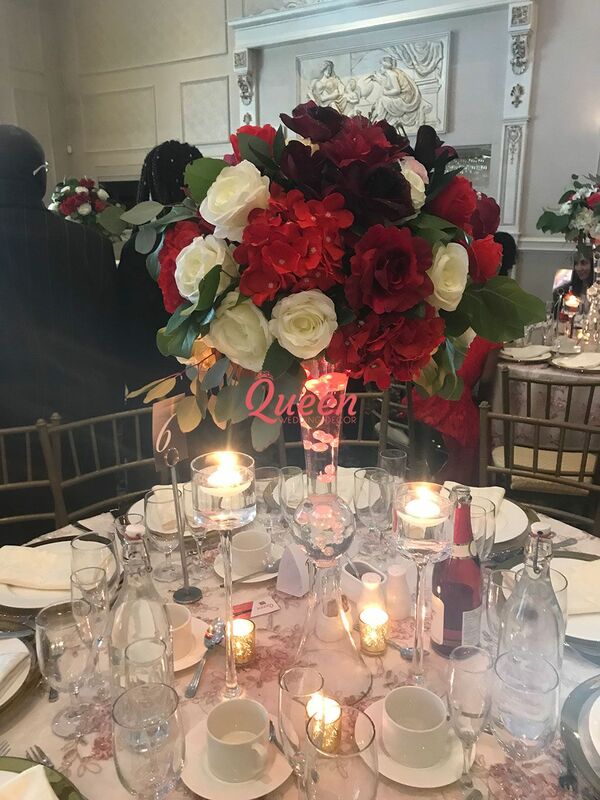 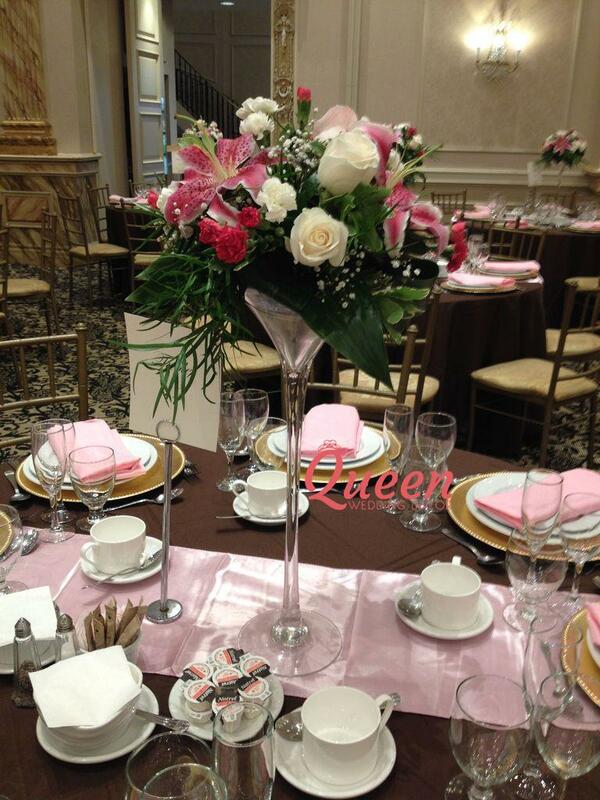 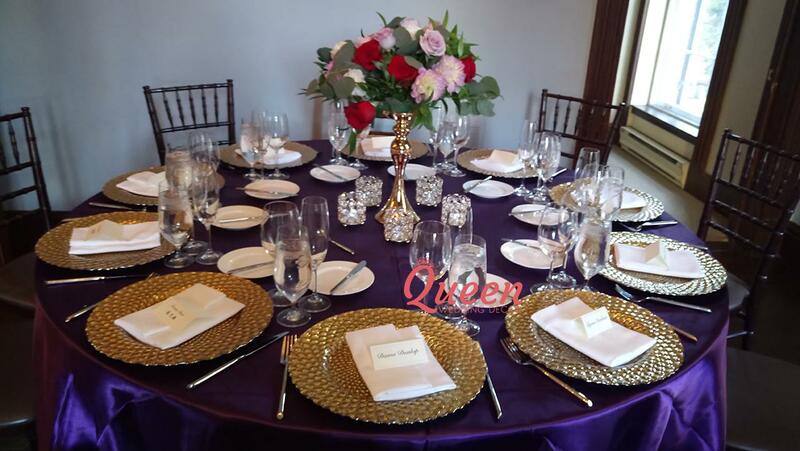 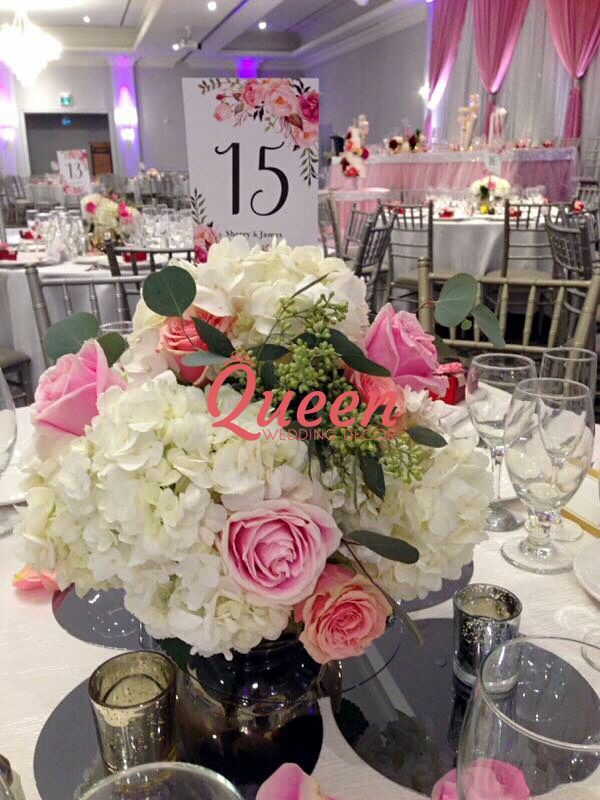 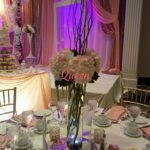 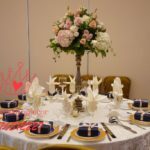 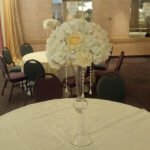 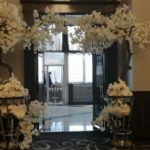 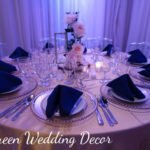 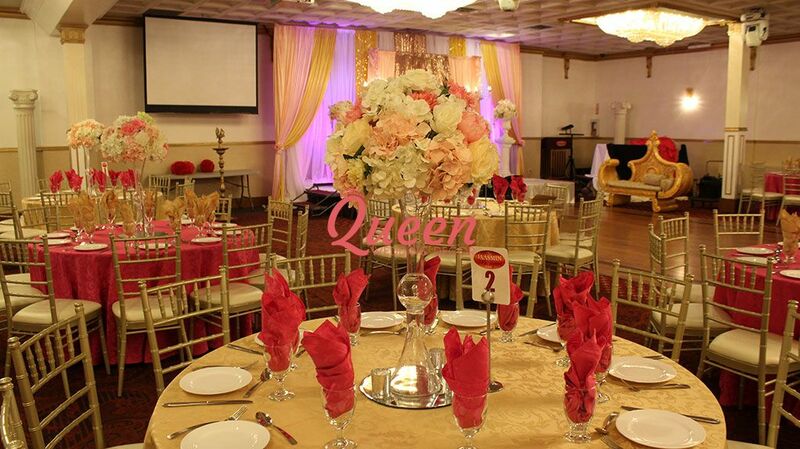 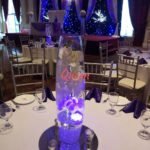 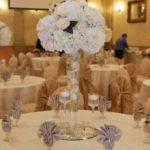 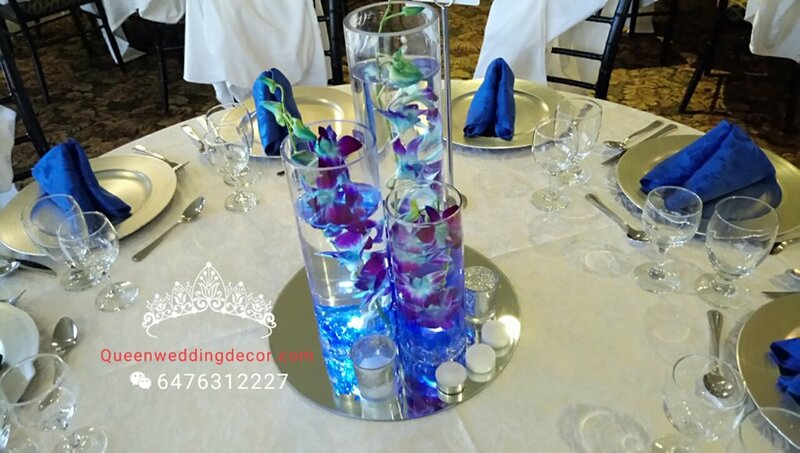 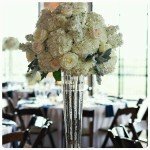 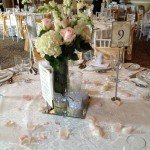 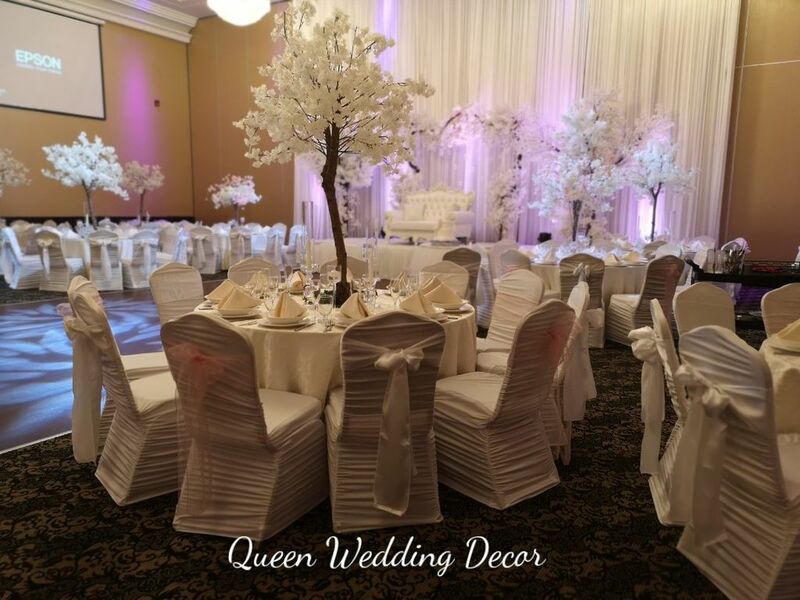 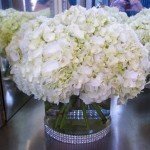 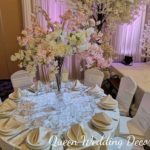 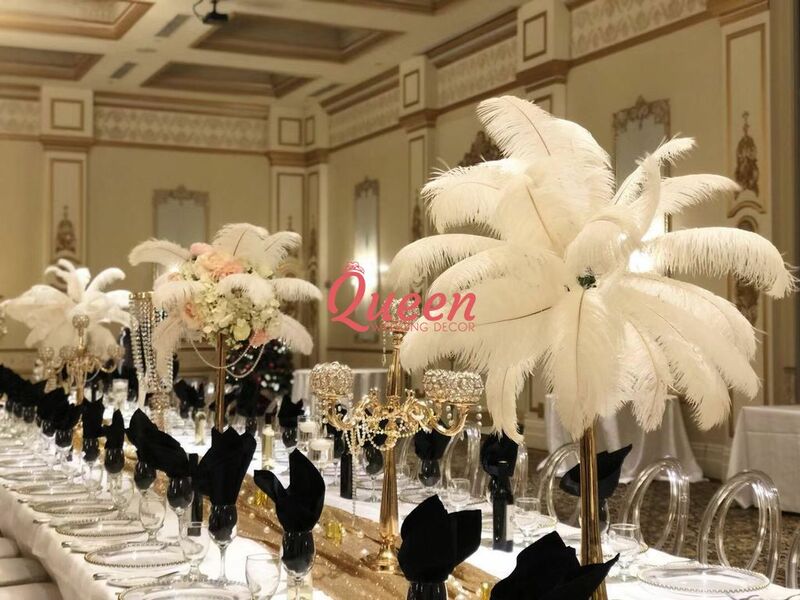 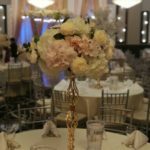 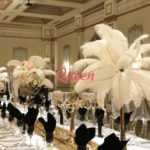 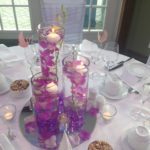 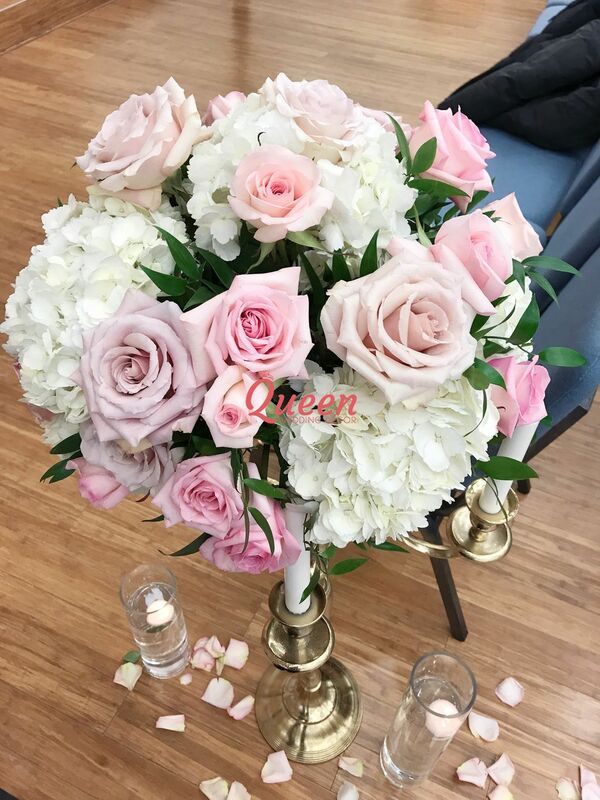 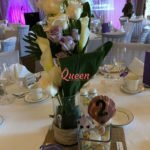 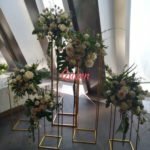 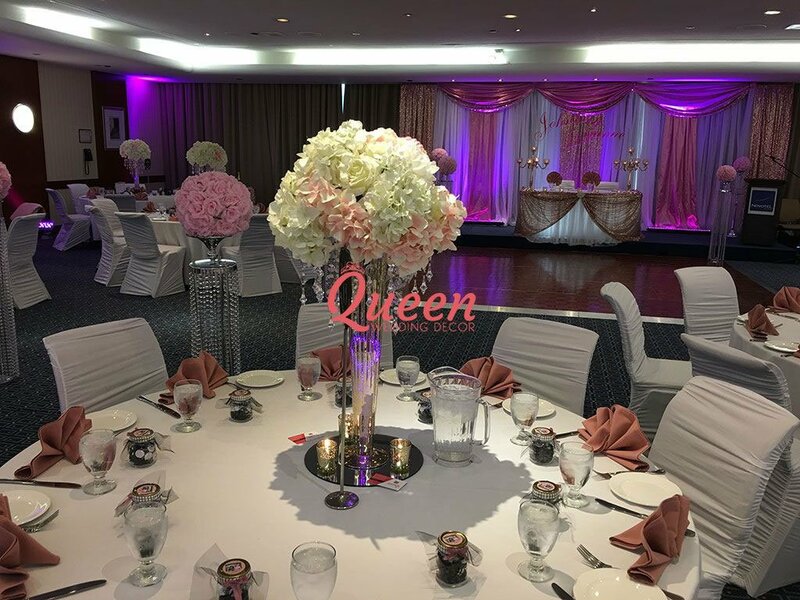 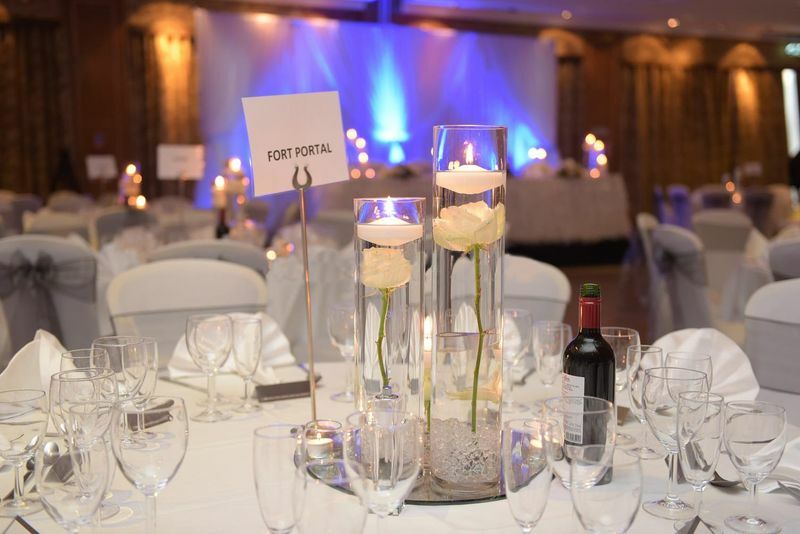 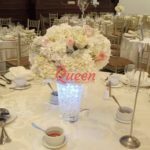 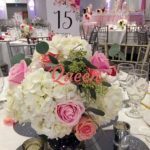 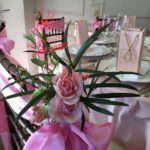 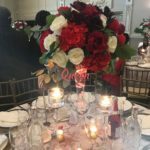 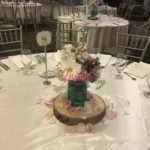 We have many styles of centerpieces to choose from. 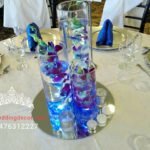 Glass designs, with or without flowers, many different colors to go with any decor, and so much more! 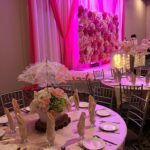 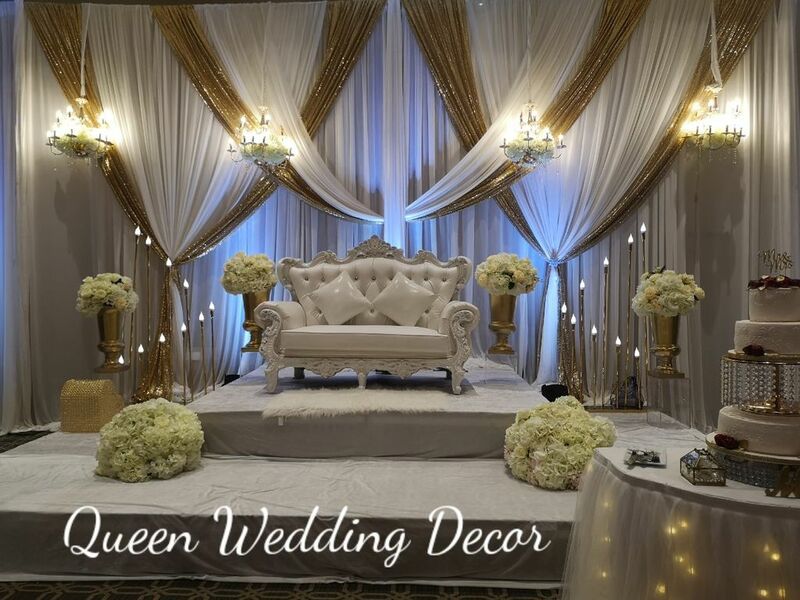 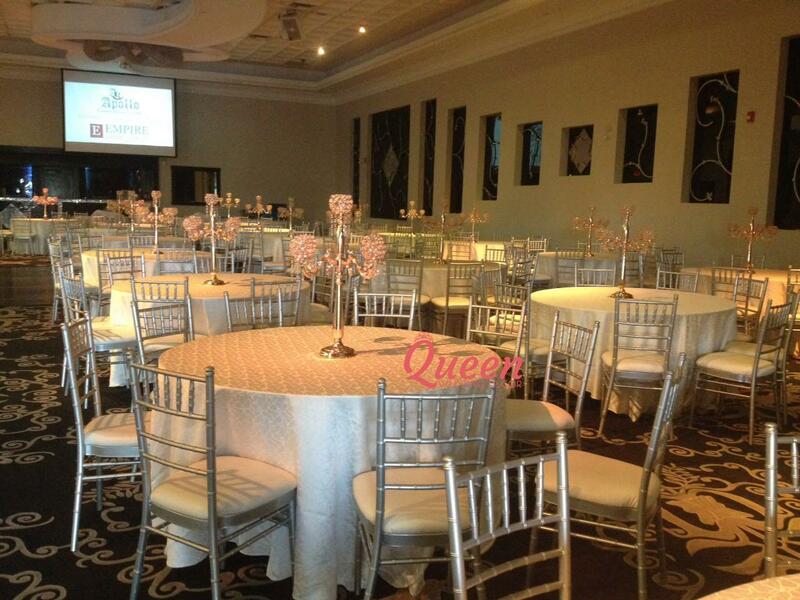 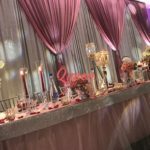 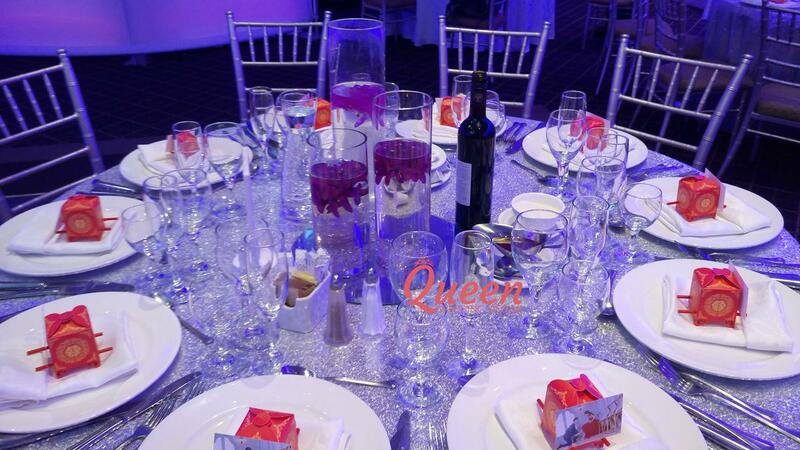 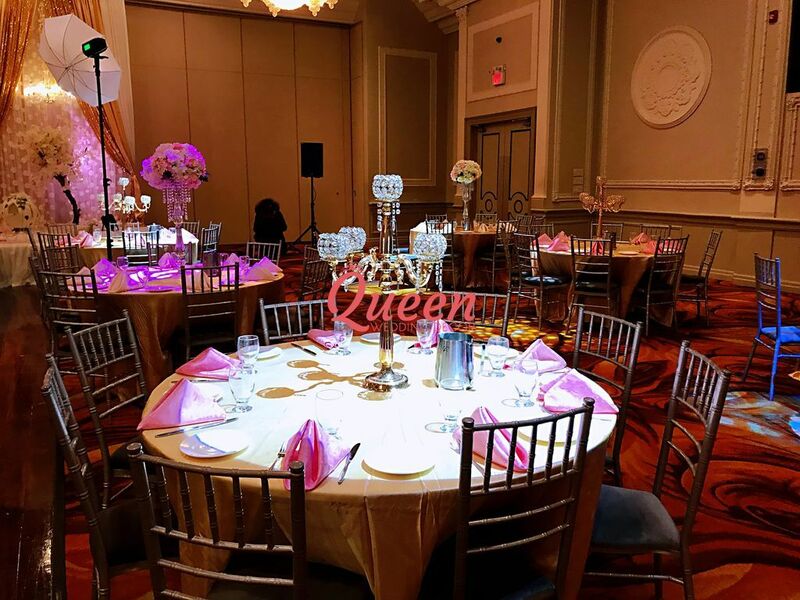 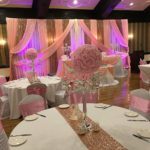 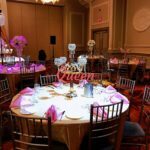 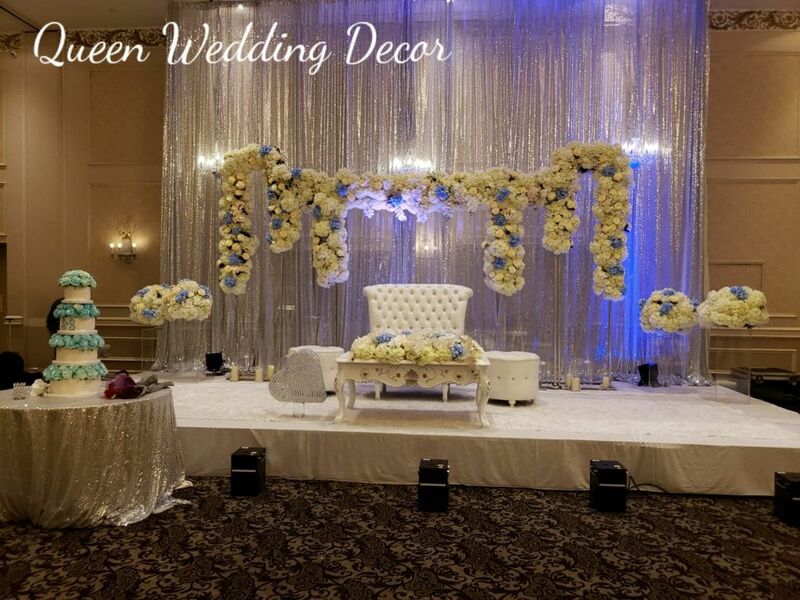 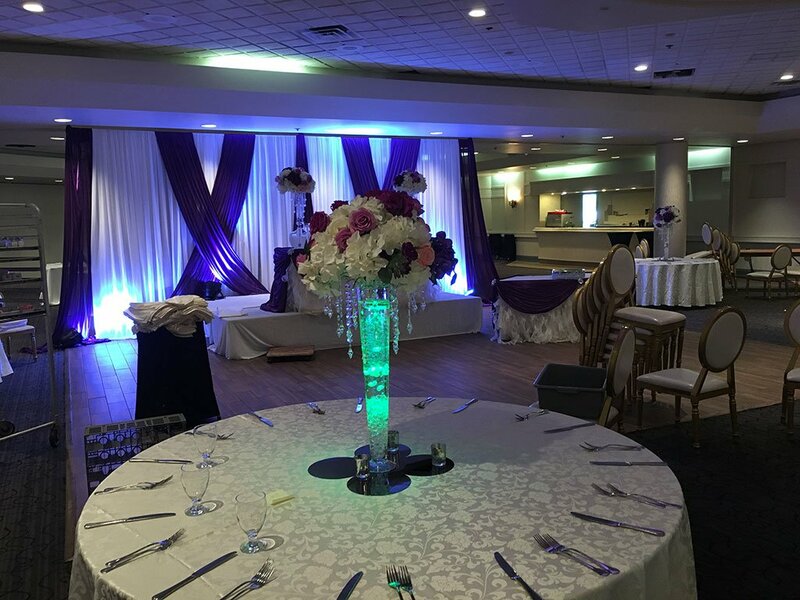 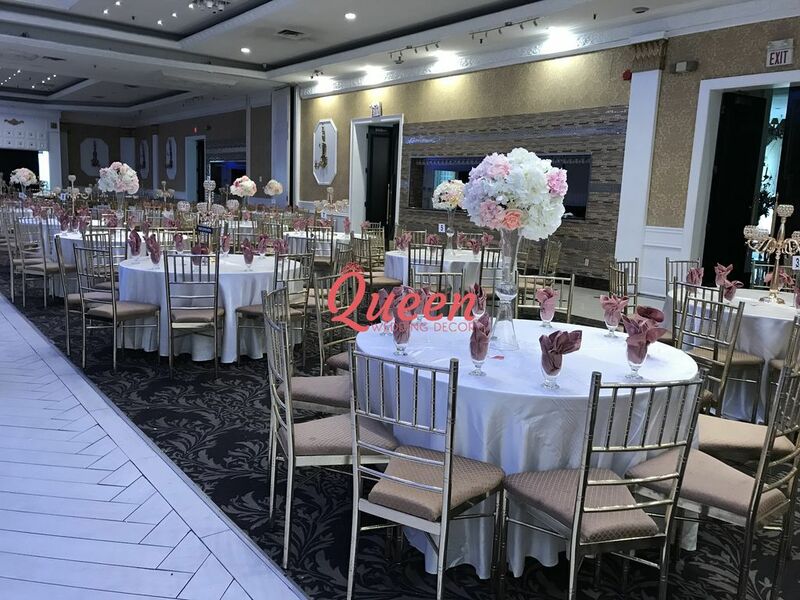 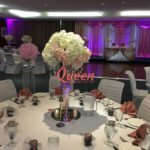 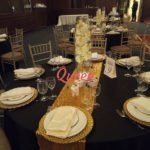 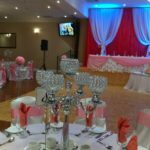 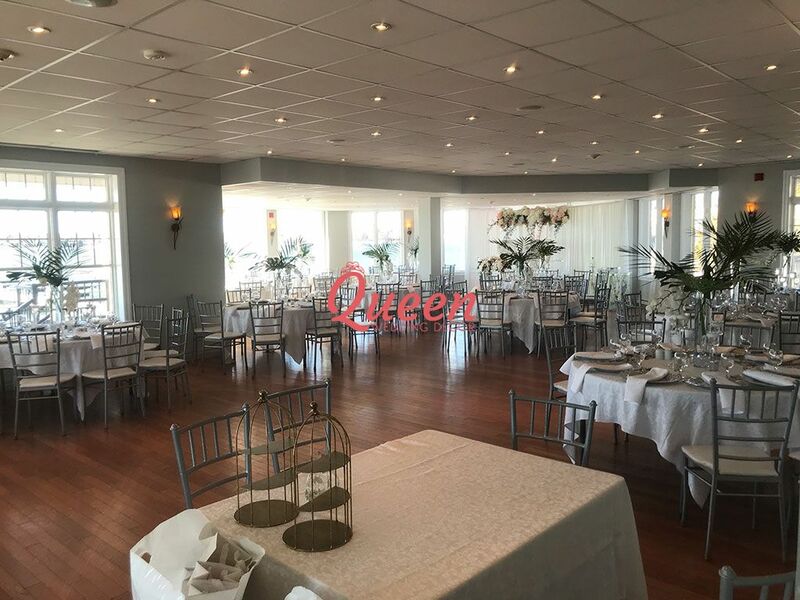 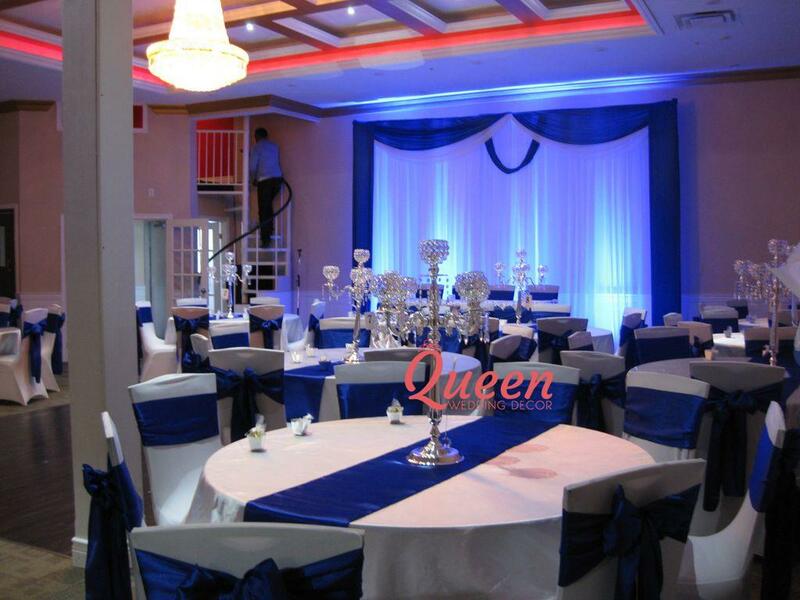 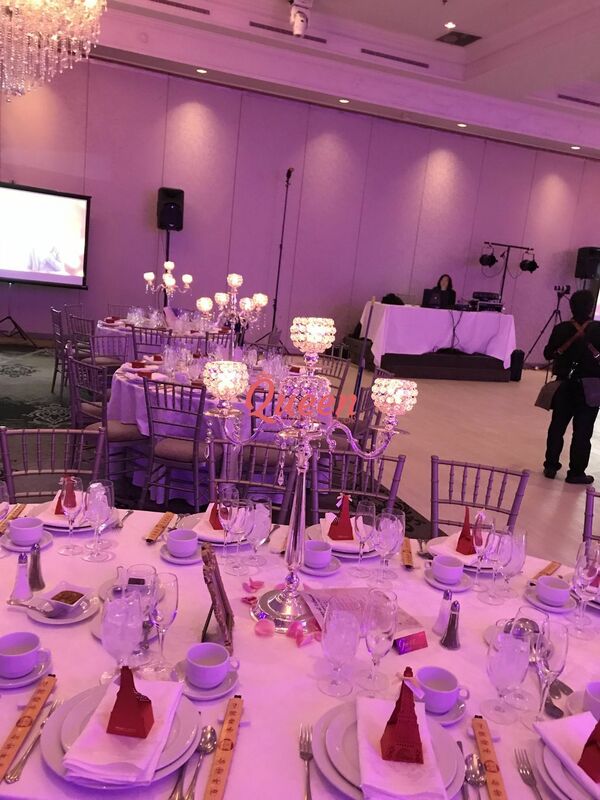 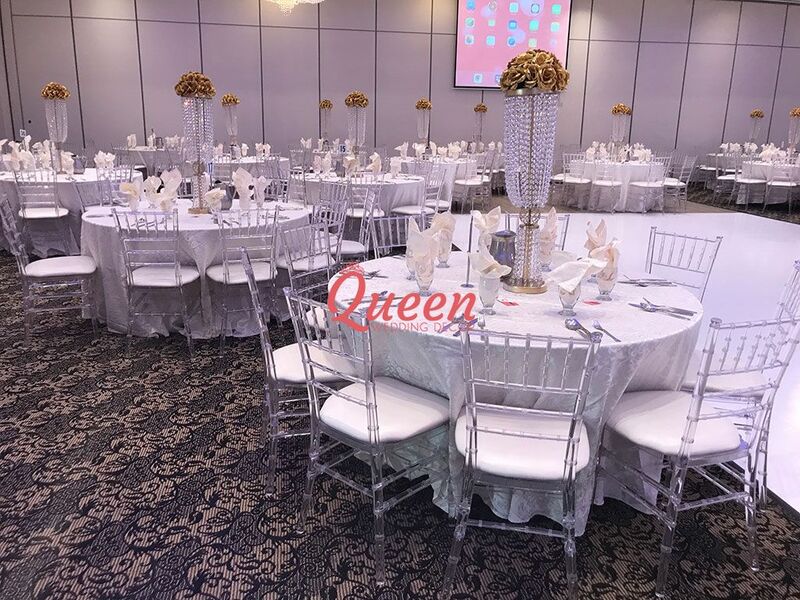 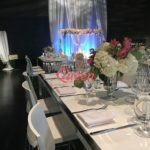 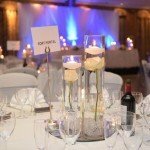 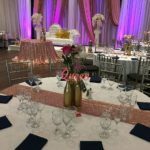 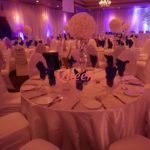 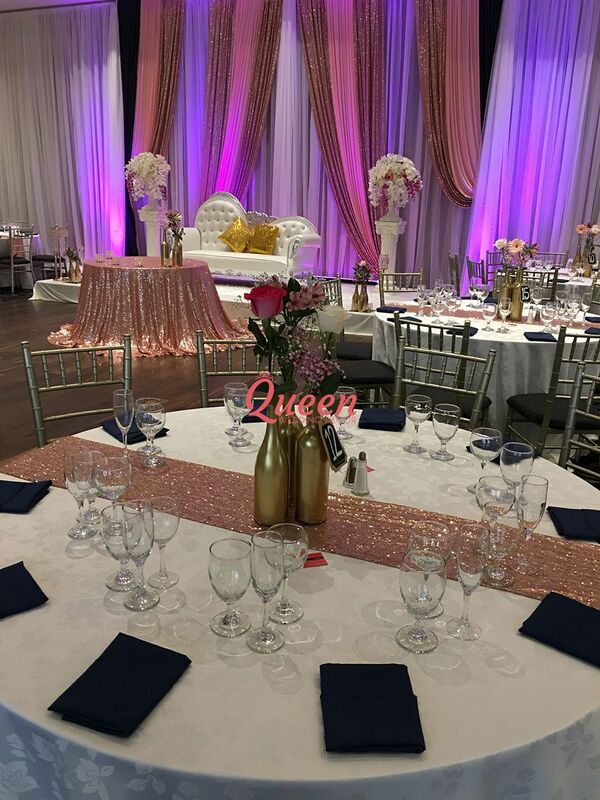 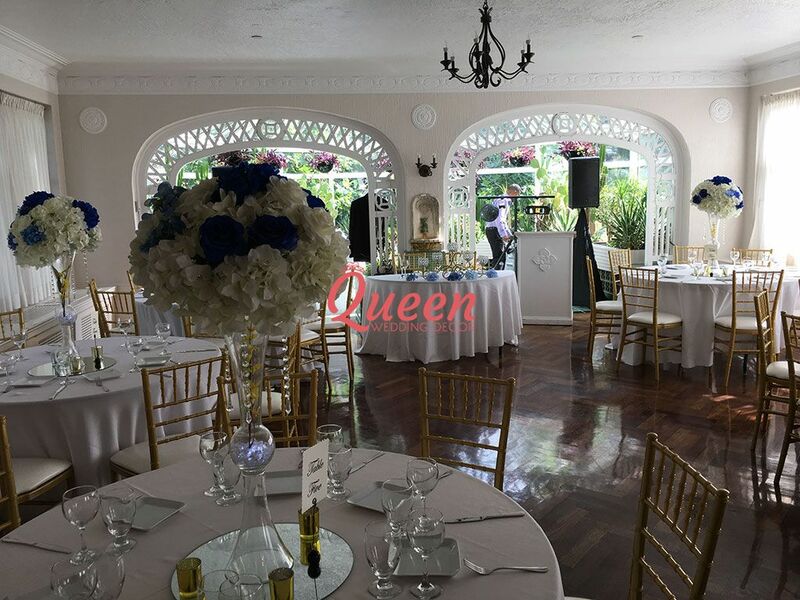 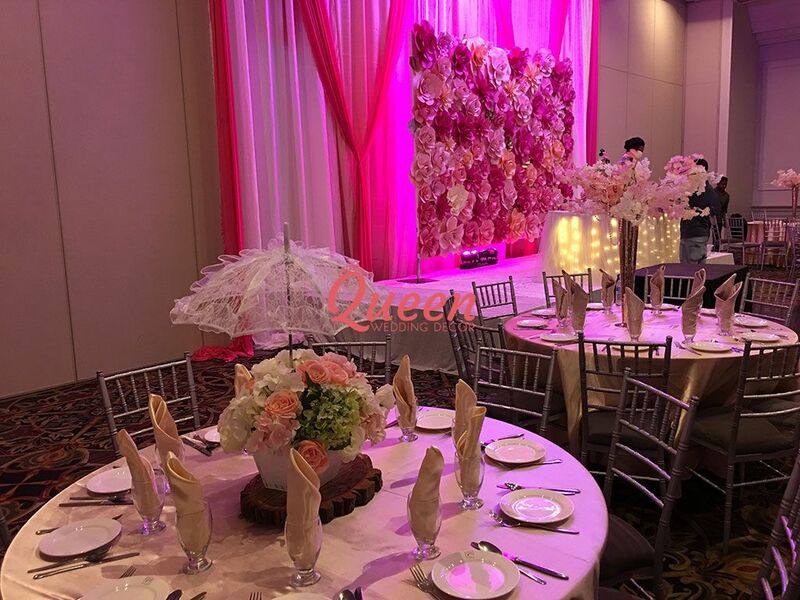 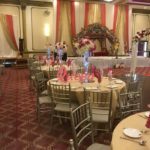 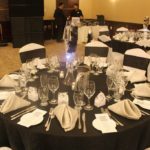 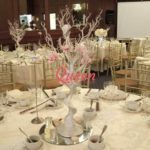 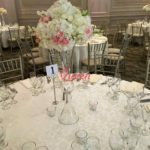 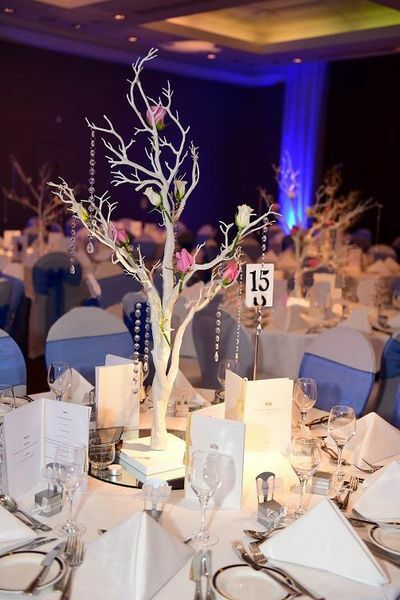 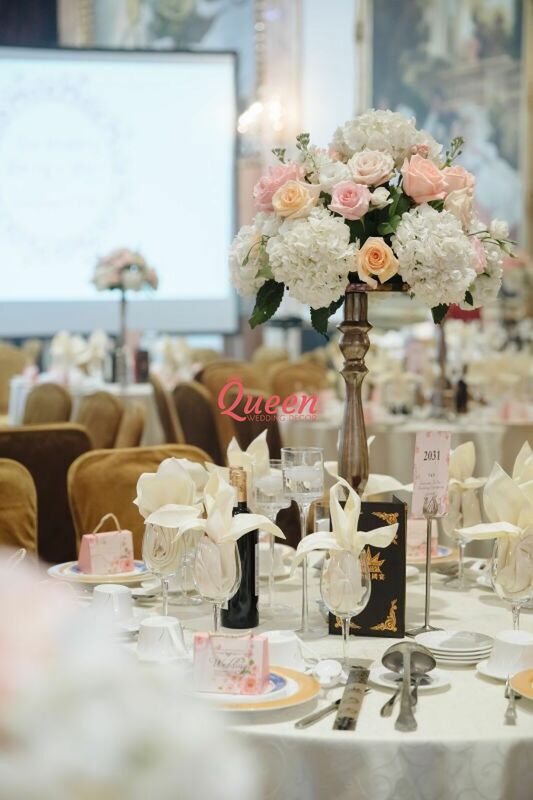 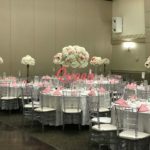 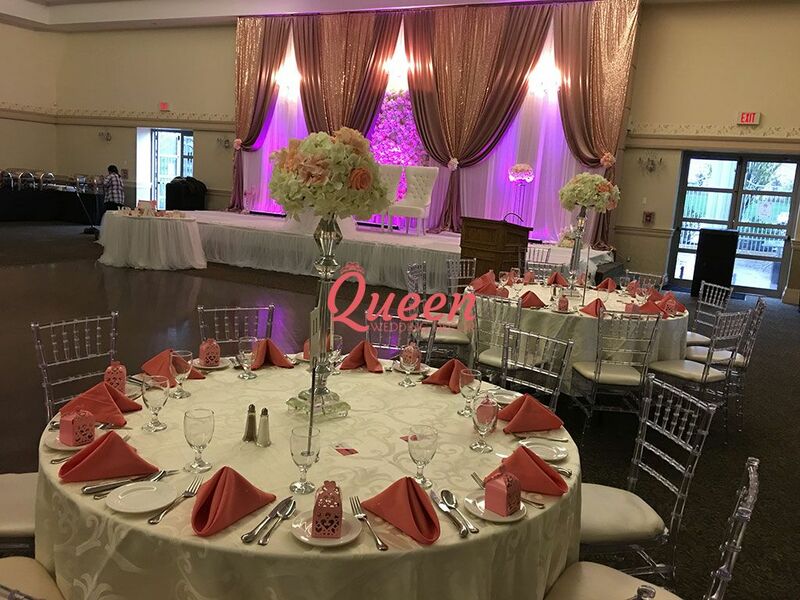 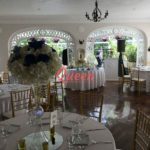 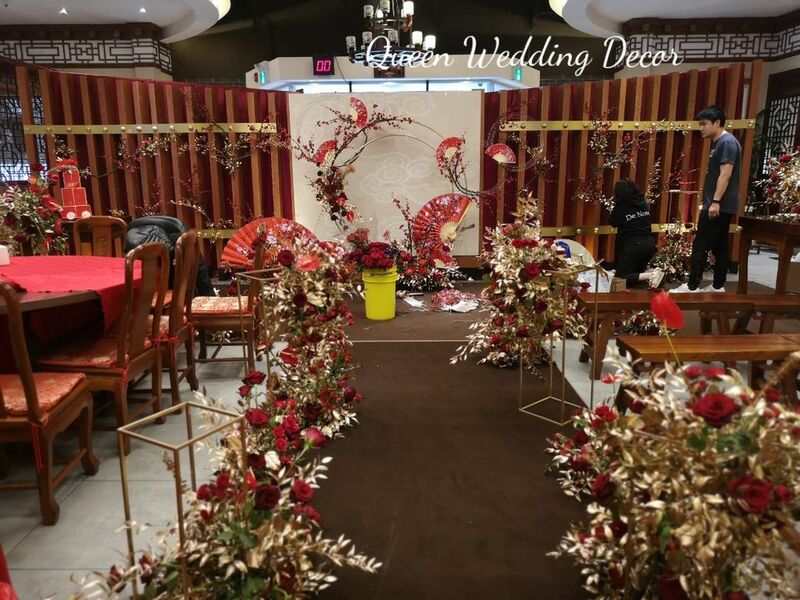 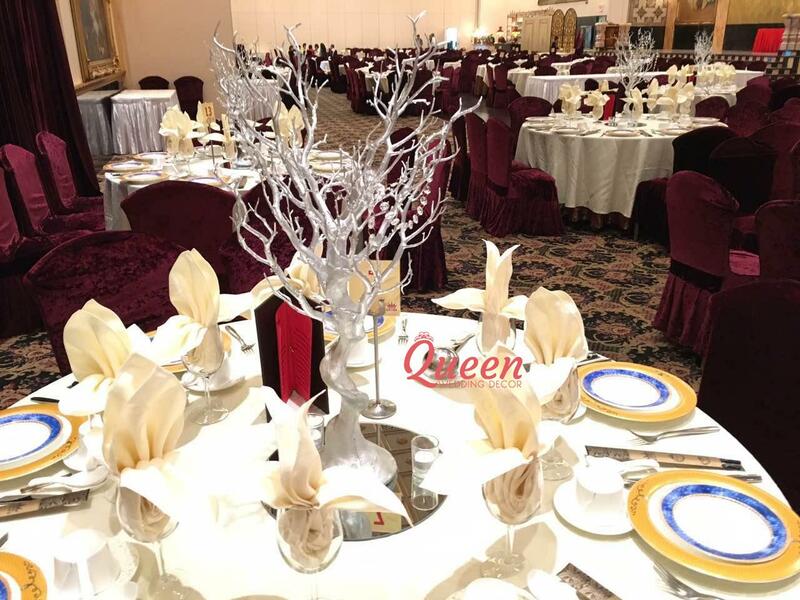 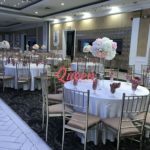 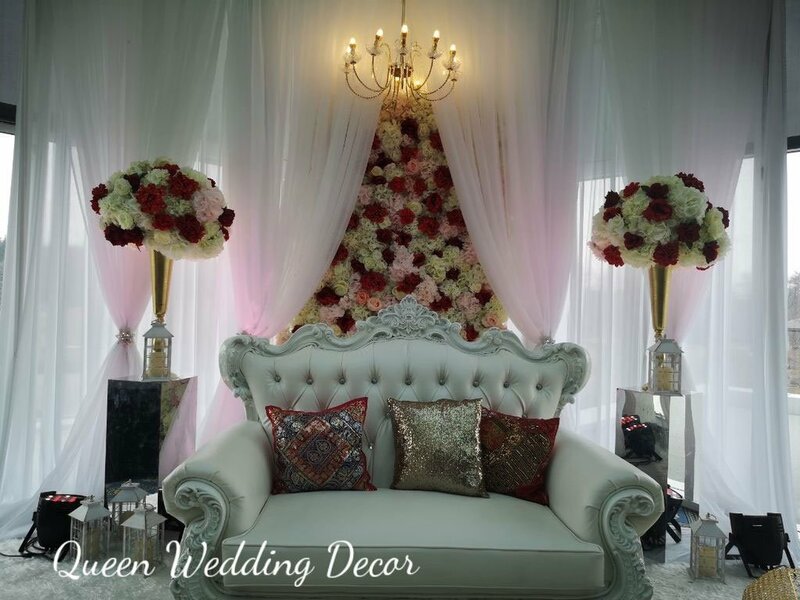 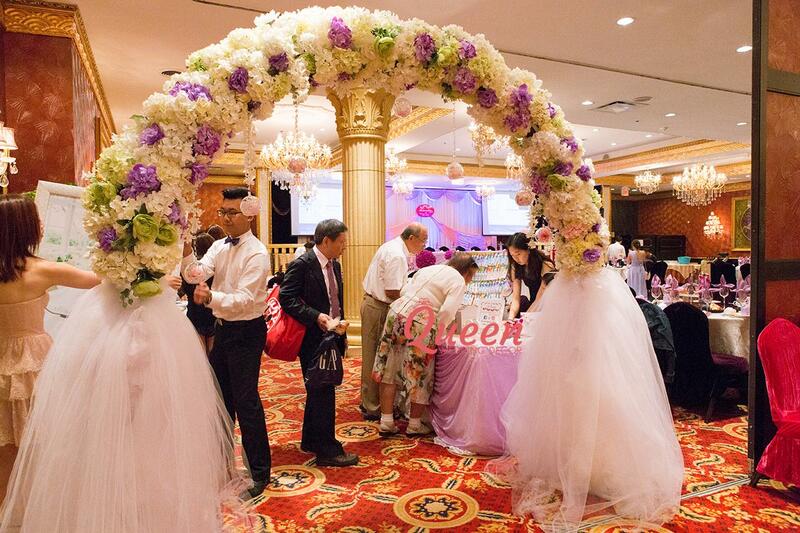 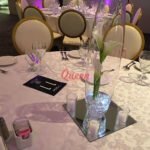 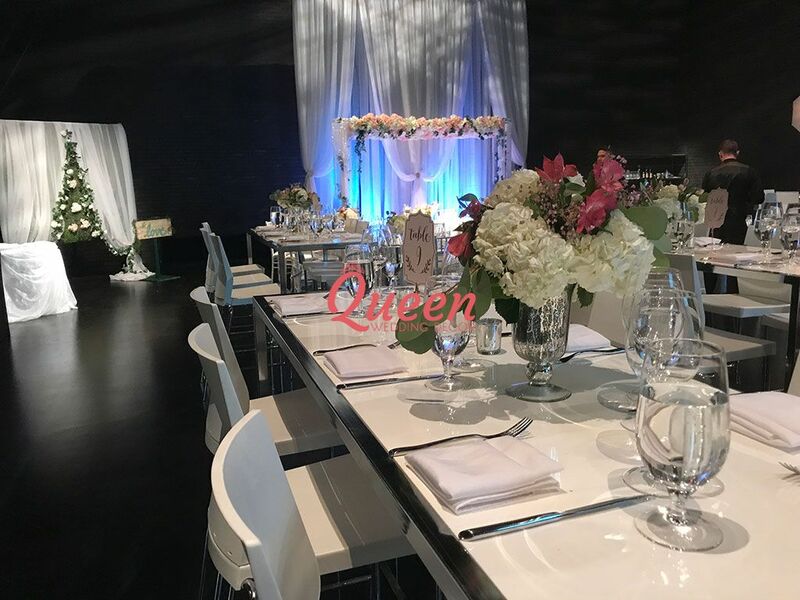 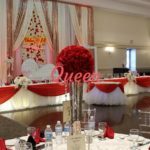 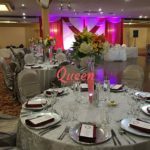 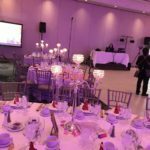 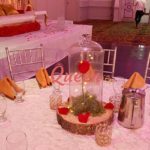 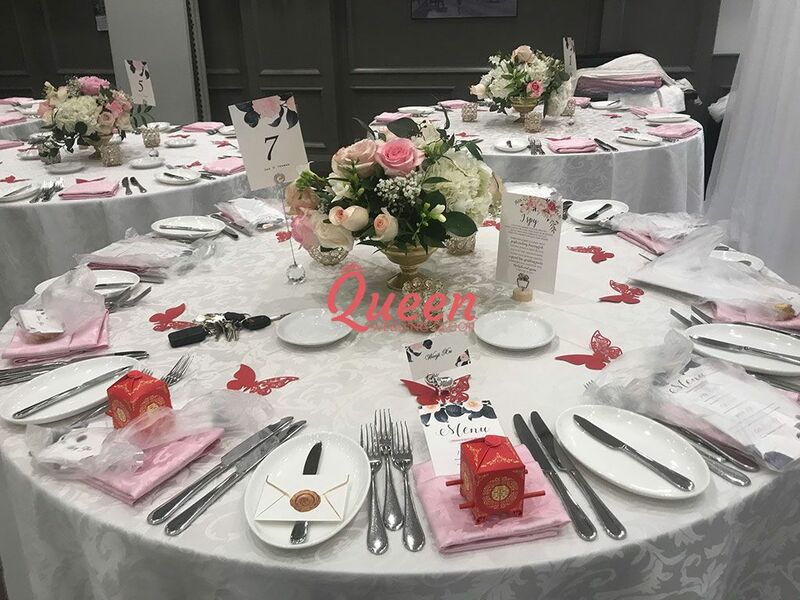 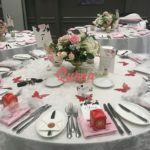 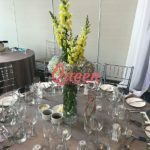 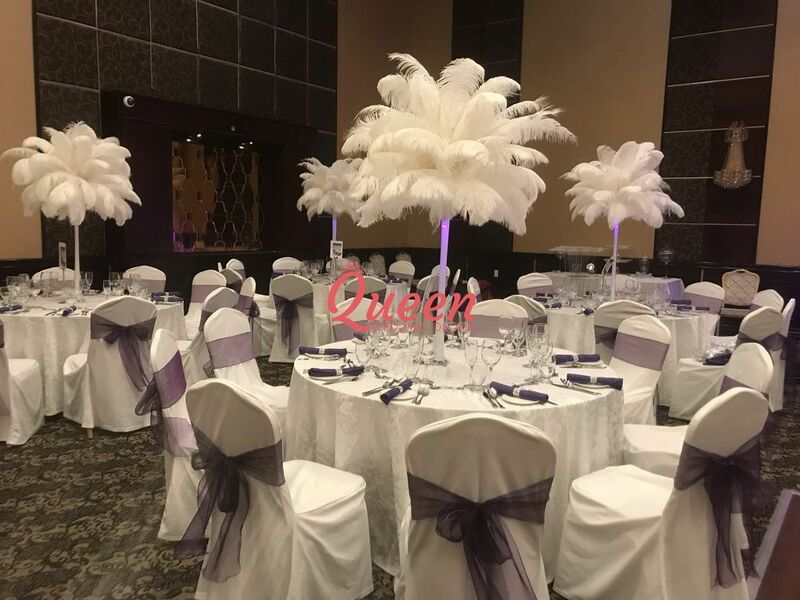 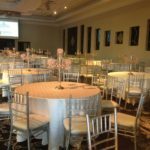 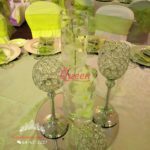 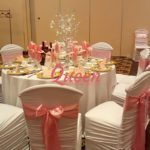 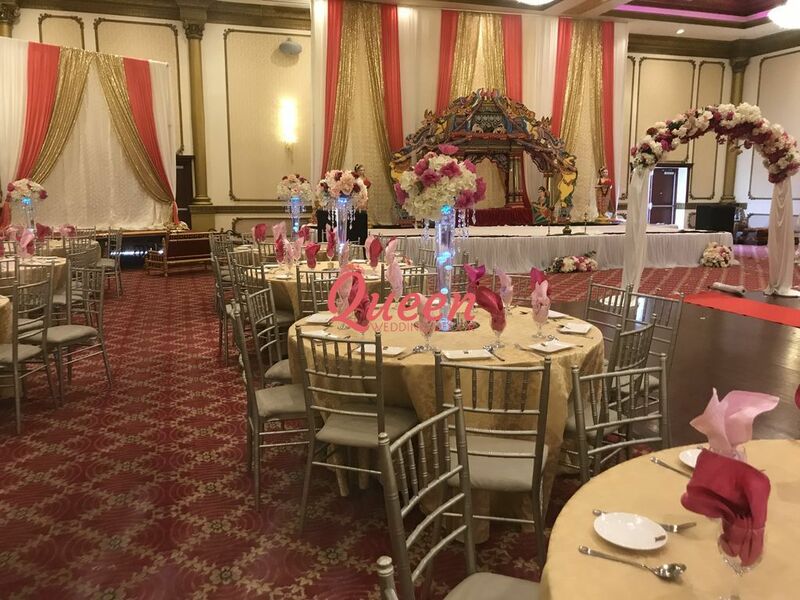 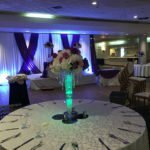 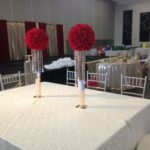 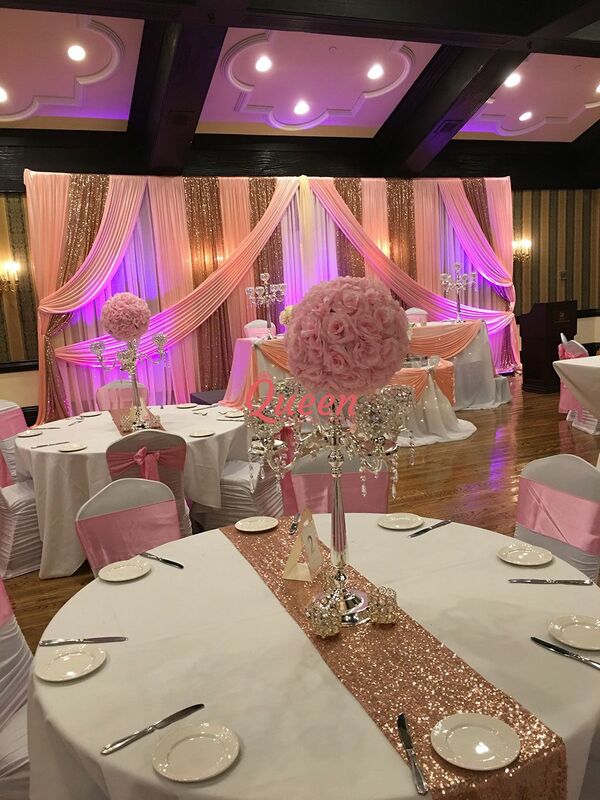 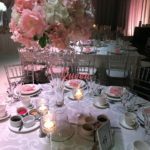 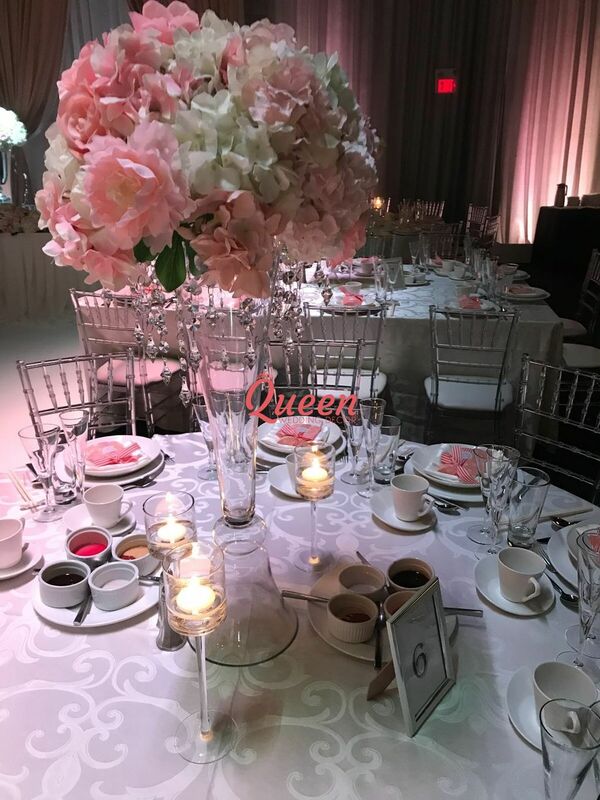 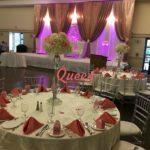 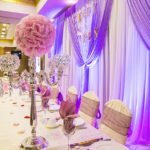 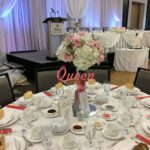 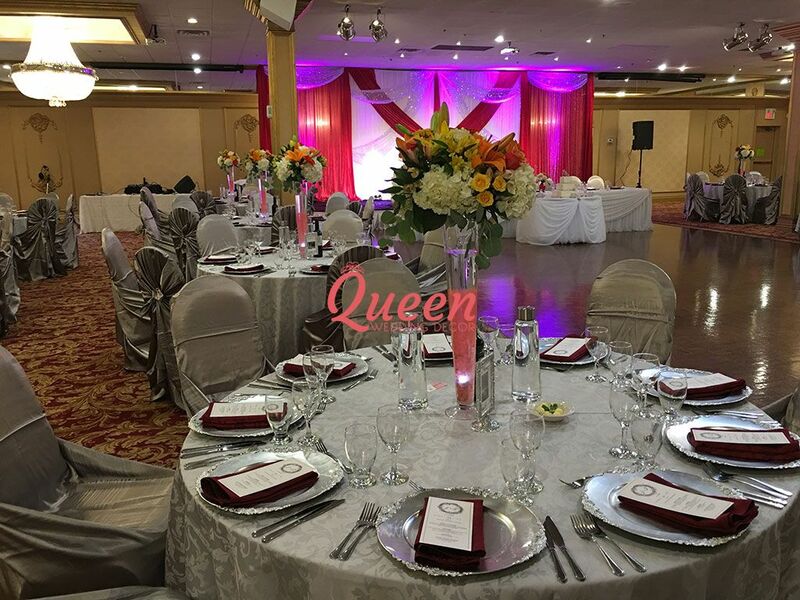 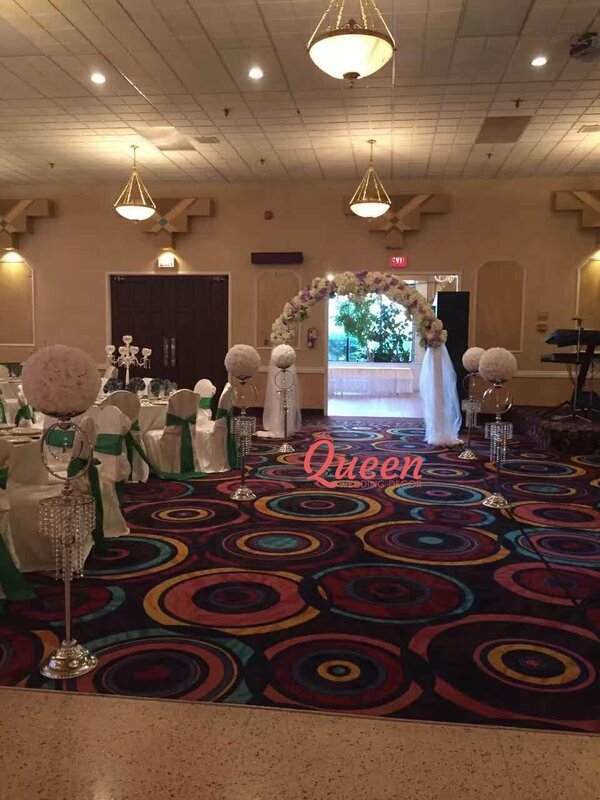 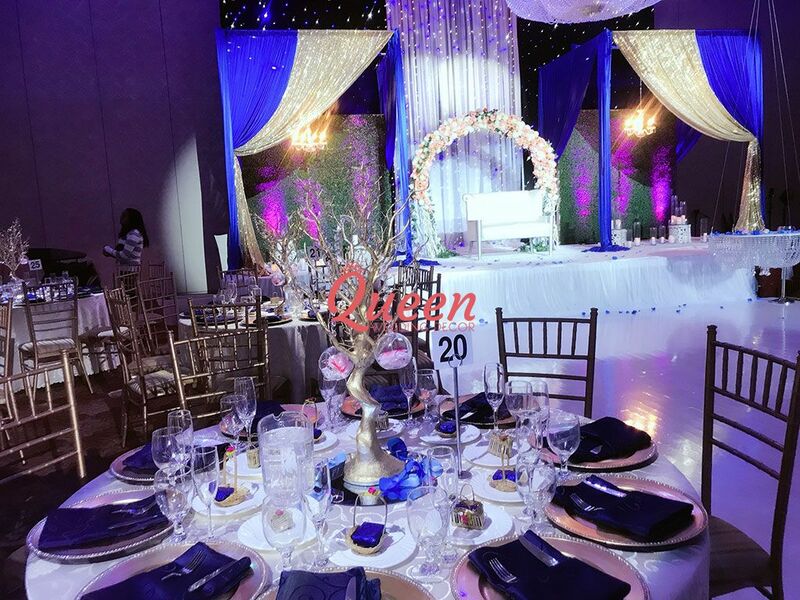 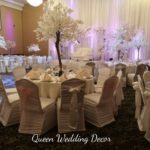 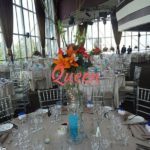 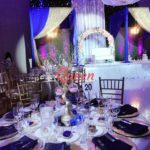 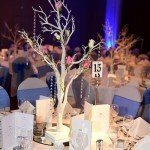 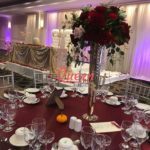 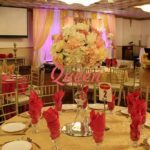 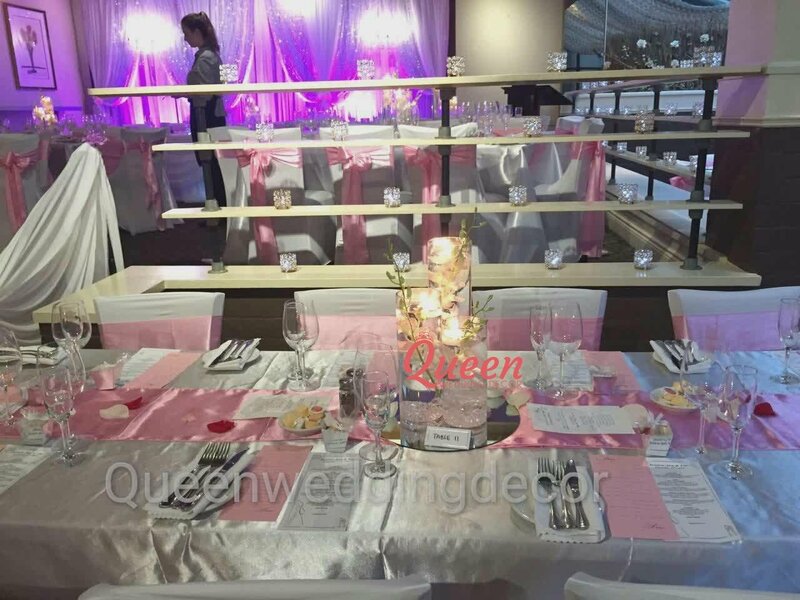 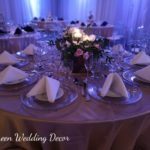 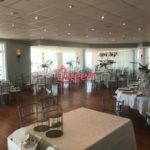 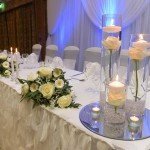 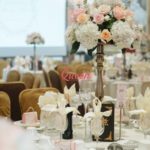 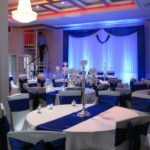 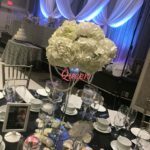 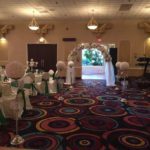 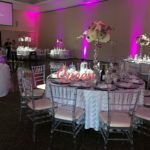 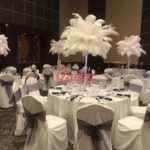 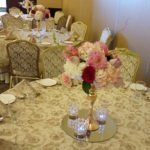 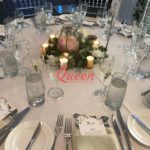 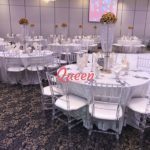 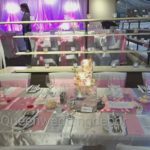 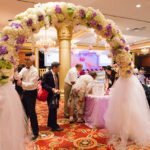 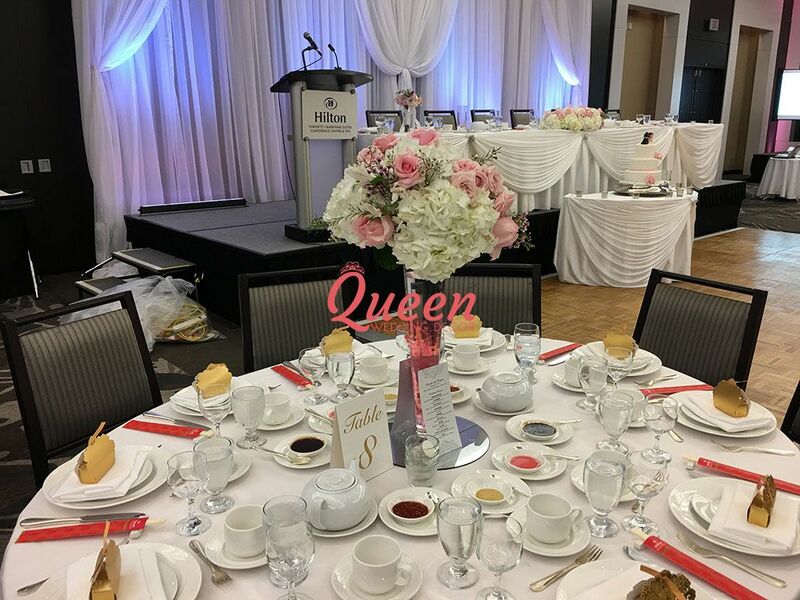 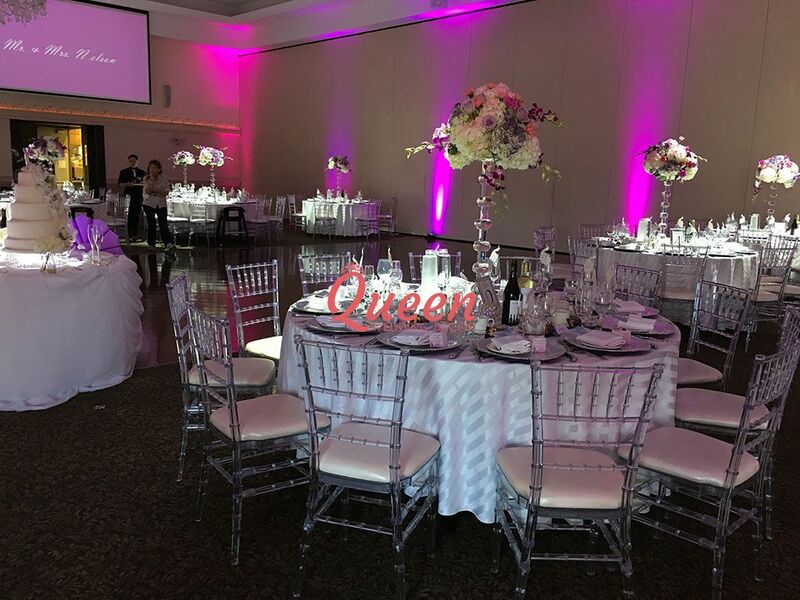 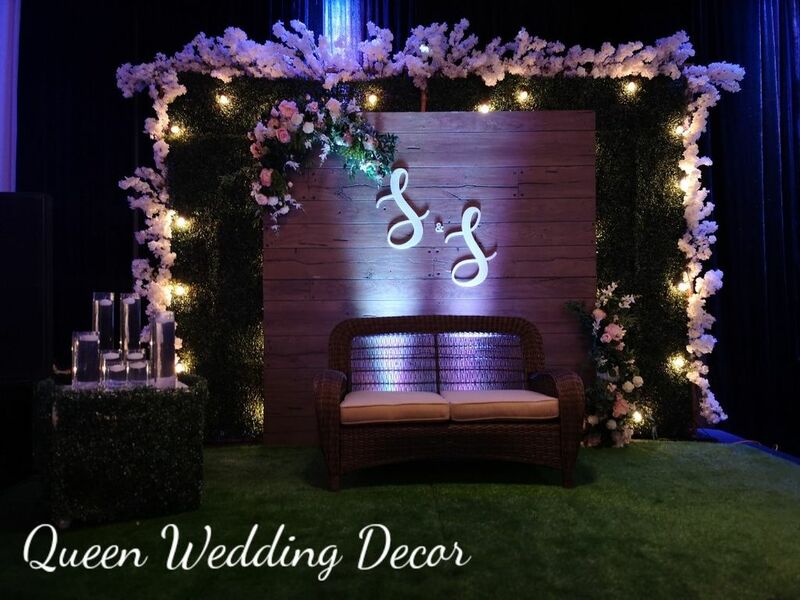 Riviera Events & Convention Centre Inc.